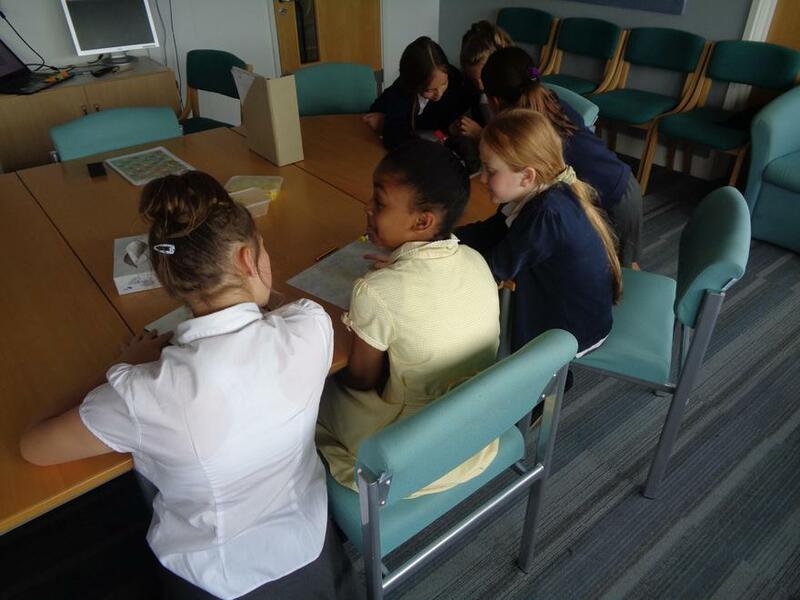 Once again, a team of Year 6 children represented Howe Dell in this year's NYMA competition, held by Explore Learning in conjunction with the University of Cambridge. 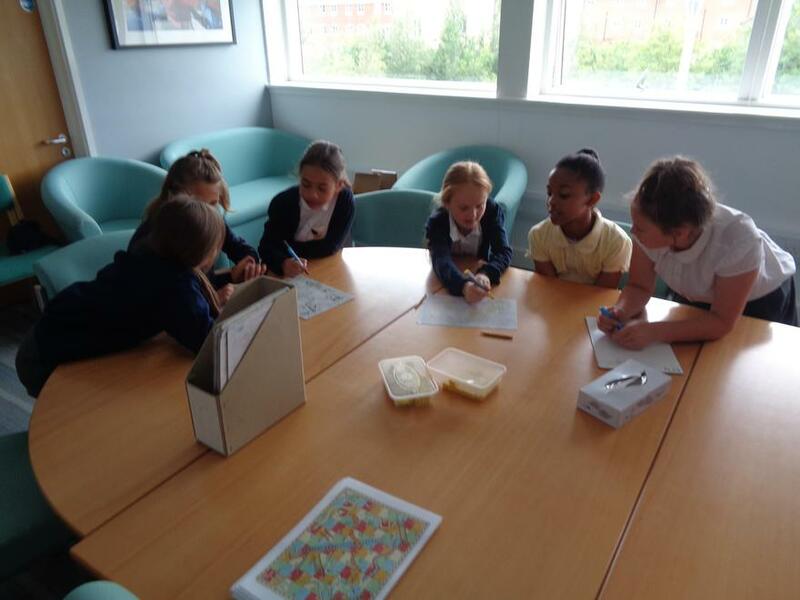 The children had a great afternoon solving a four-stage puzzle set specifically for the event. 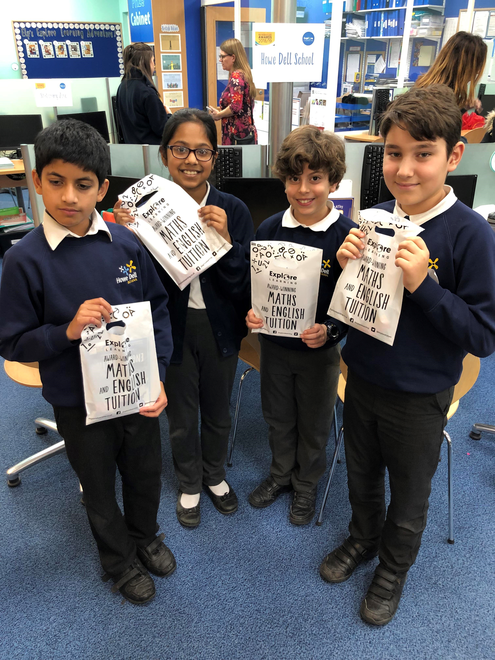 Well done to the team: Fahima, Pranav, Alex and Victor. 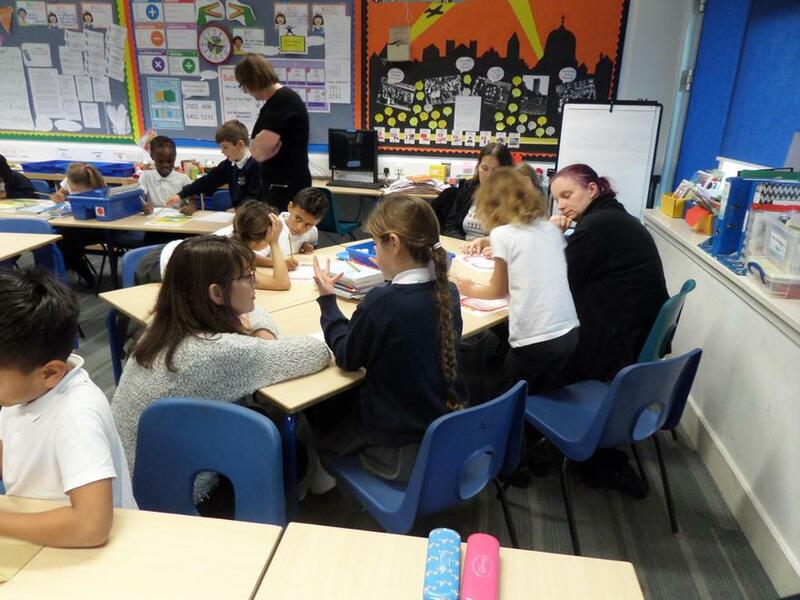 In case you were wondering what your child may be missing out on by not having access to Mathletics, why not take a look at the video below which will give you a brief introduction. 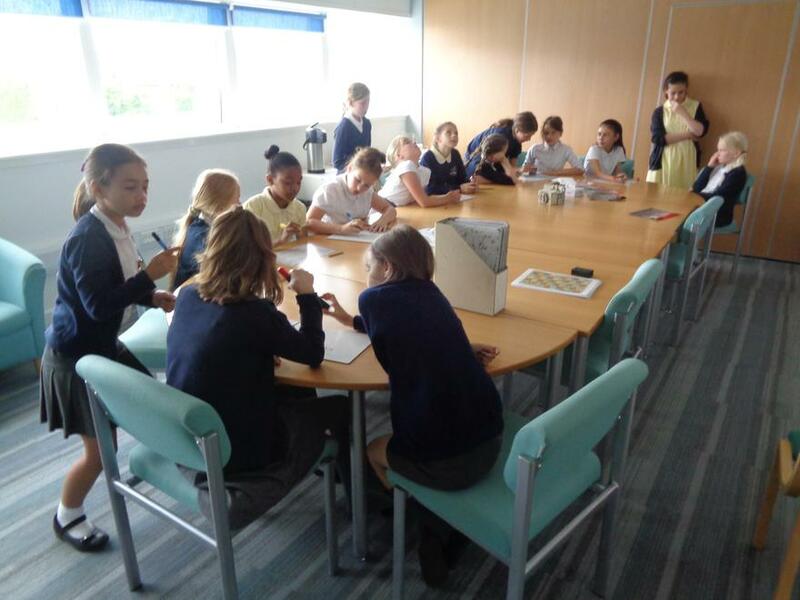 There's also a separate clip showing the thoughts of the University of Oxford on the benefits for children who use Mathletics. 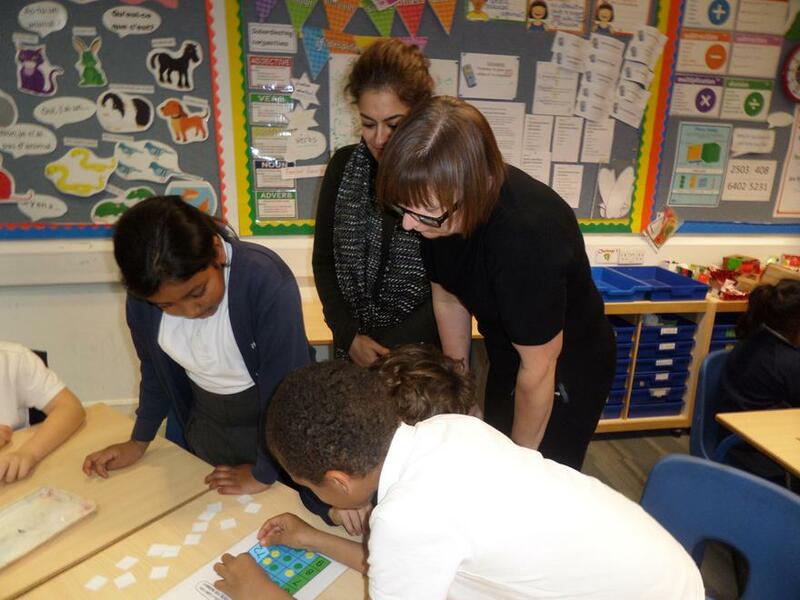 Bought directly from Mathletics by a parent, a single child subscription would cost £59. 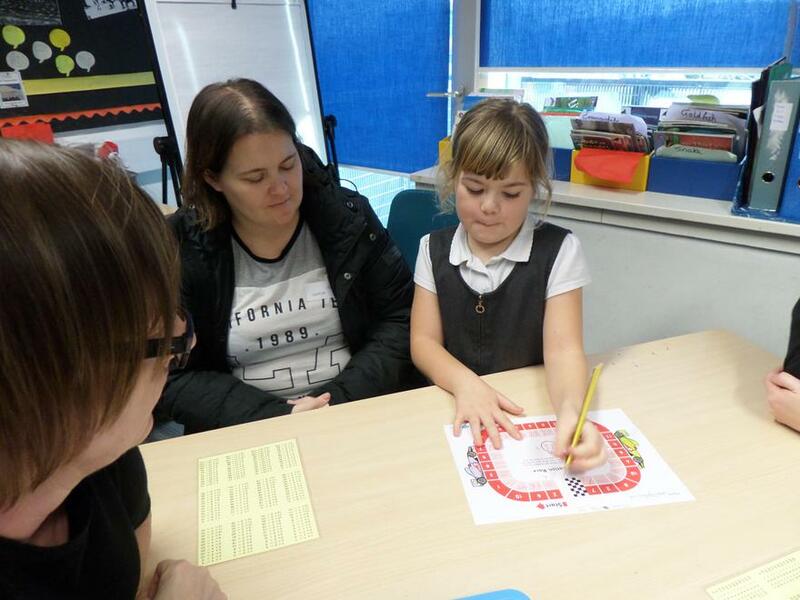 Through Howe Dell, you can have both Mathletics and Marvellous Me for your child for a combined fee of only £10. 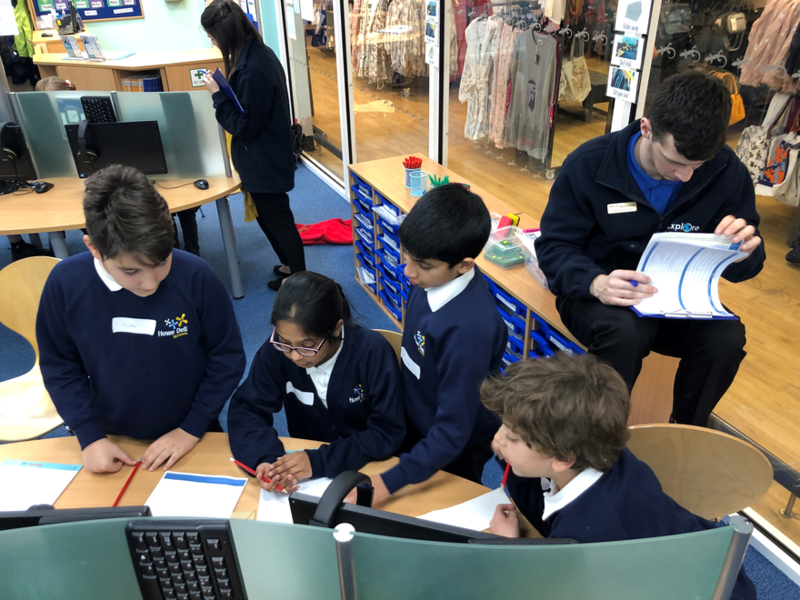 In the summer term a team of Year 5 mathematicians took up the challenge of participating in the first ever Sir Frederic Osborne Maths Competition. 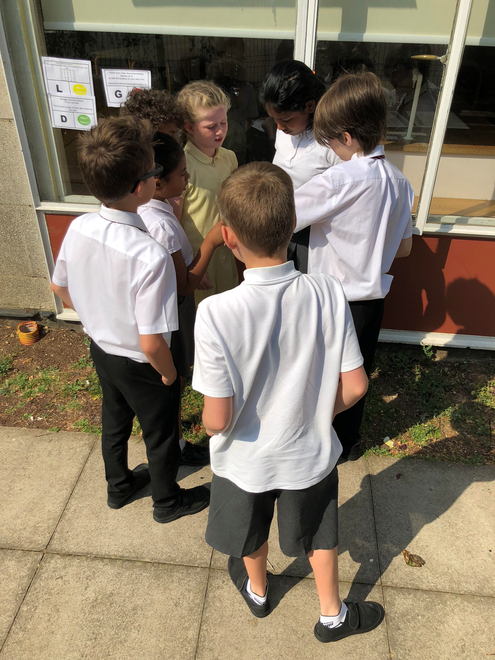 Problem solving, puzzles and a treasure hunt formed part of the morning. 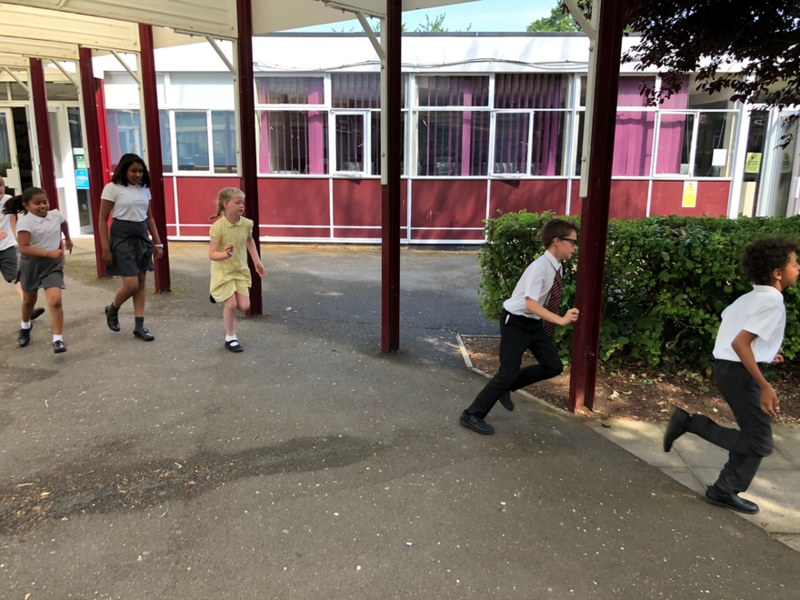 Of course, Howe Dell children gave it their all, to the extent that they were incredibly successful in walking away with the coveted accolade of being champions. 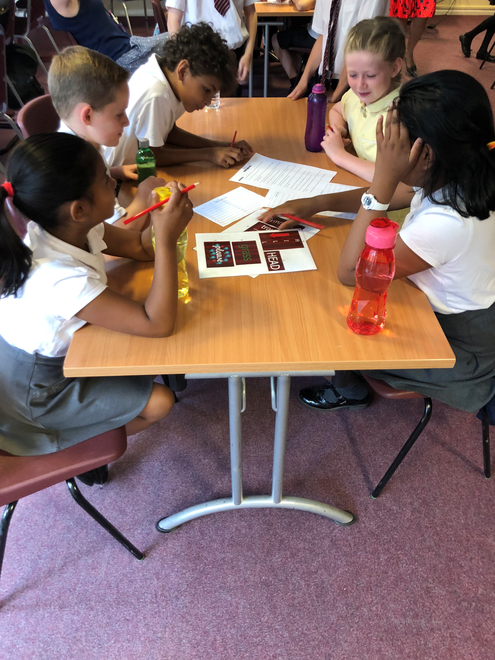 A very big well done to Ibrahim, Neve, Snigdha, Thamil and William for a stunning performance. 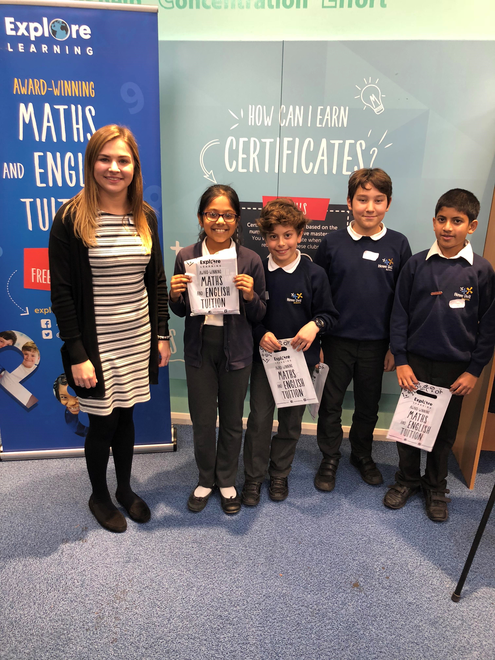 Congratulations to Yahvi, Diya, Adam and Tapi who were the REGIONAL WINNERS in the Maths competition. 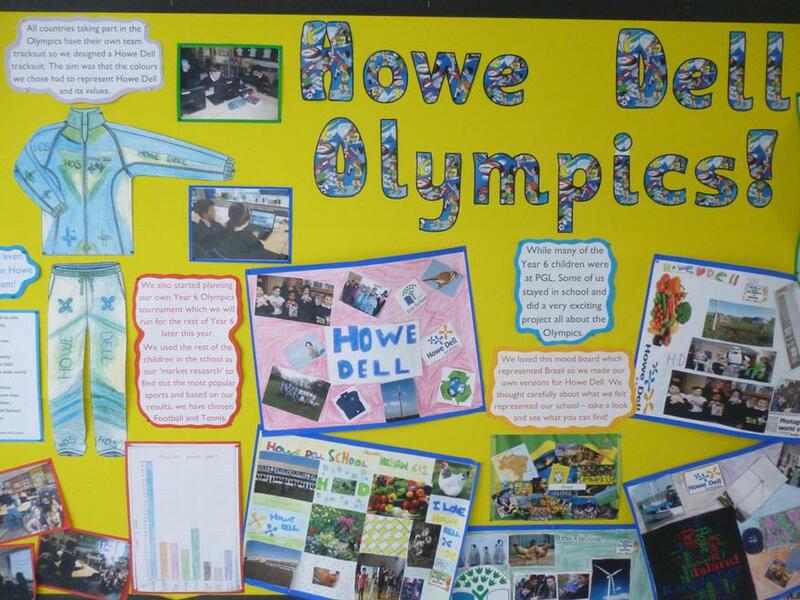 Unfortunately, they ONLY JUST missed out on making it through to the final at The University of Cambridge (Explore Learning said "they were so close") but nevertheless still achieved something of which they should be very proud - a Howe Dell first. Well Done. 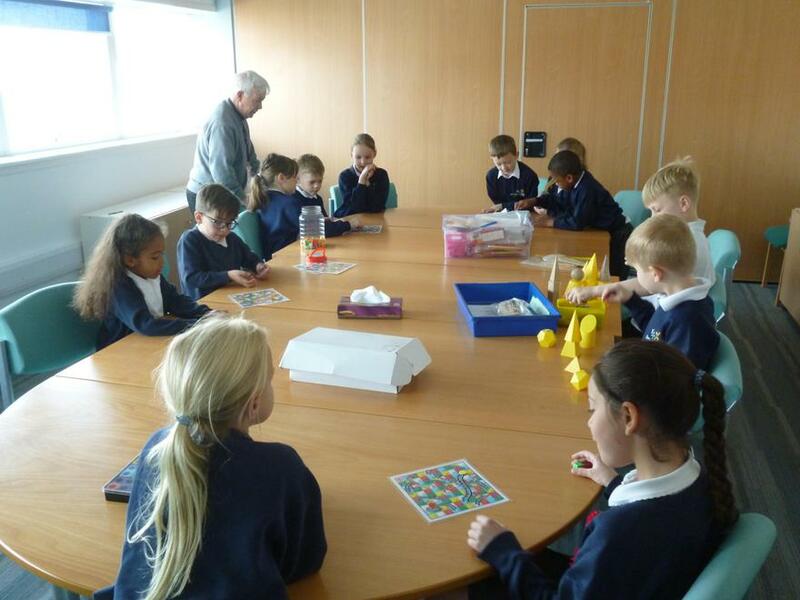 They received their medals and goody bags in assembly from Explore Learning. 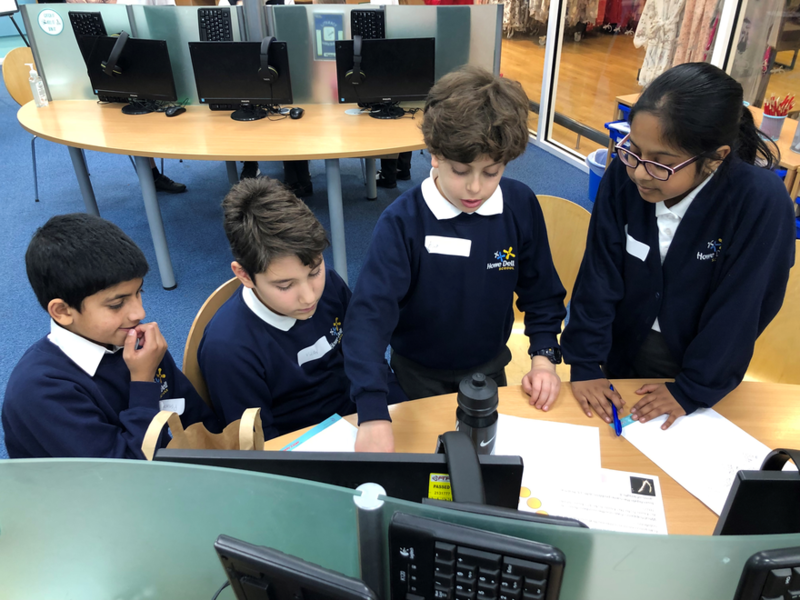 CONGRATULATIONS to the team of four Year 6 children (Adam, Diya, Tapi and Yahvi) who have made it through to the Regional Finals of the Explore Learning/University of Cambridge National Young Mathematicians Award - we wish them the very best of luck in the next round. 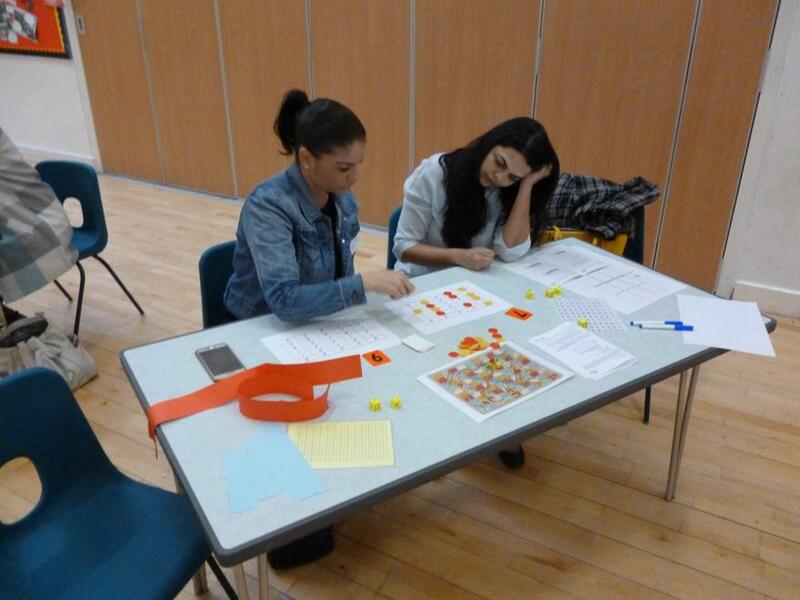 Maths Week has been a wonderful success - lots of challenging Maths accompanied by smiling faces. 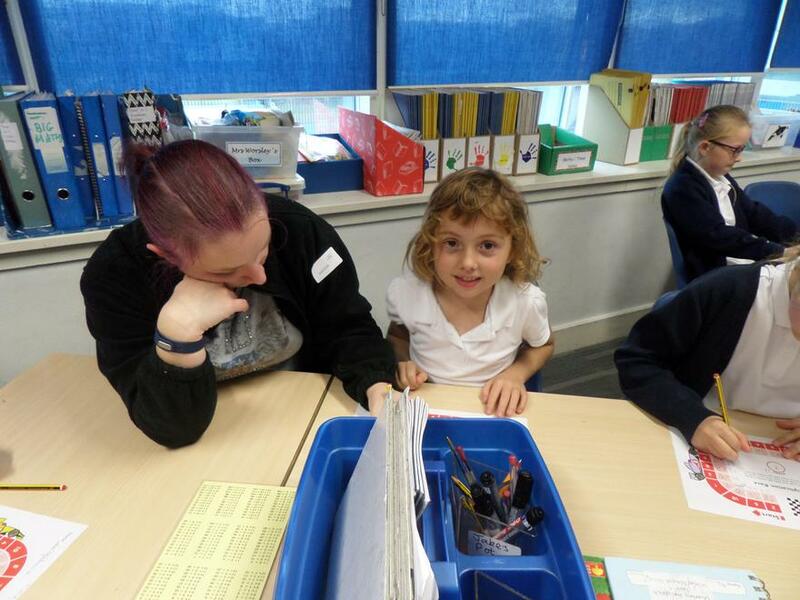 There's some great feedback from the children too. 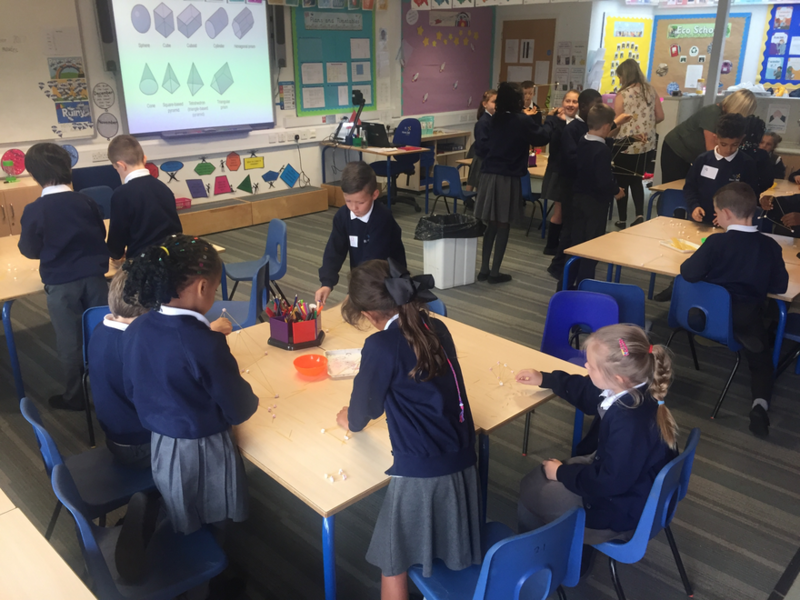 Thanks to everyone who made it possible and for the teachers, teaching assistants and children for throwing themselves into it wholeheartedly. 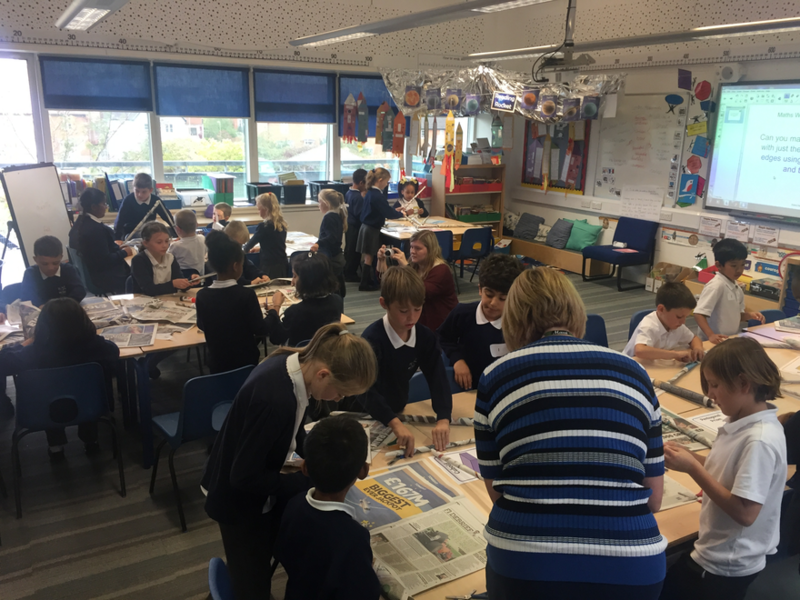 There are many more photos on the Events & News section of the website under Themed Weeks and Wonder Days. 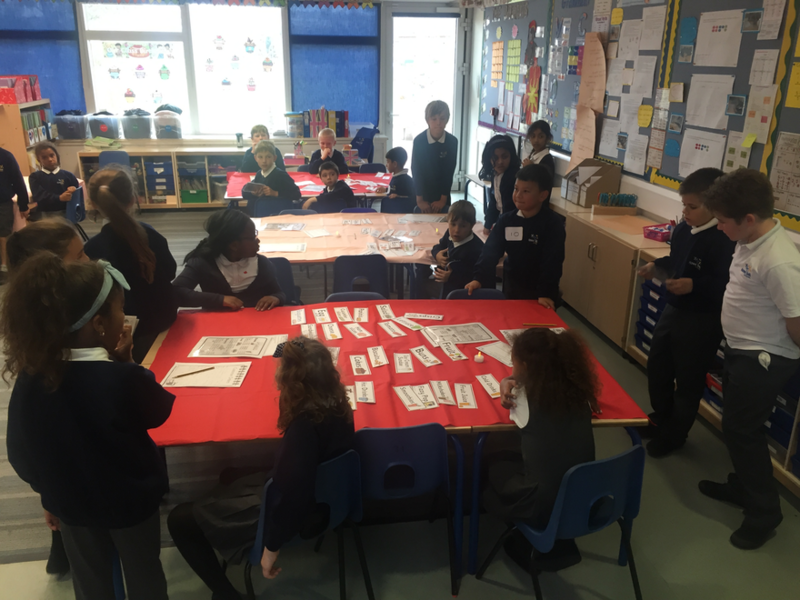 The children have had great fun during Maths week, not least on the carousel activities, which were wide-ranging in terms of experiences and yet very challenging with a great emphasis on teamwork. 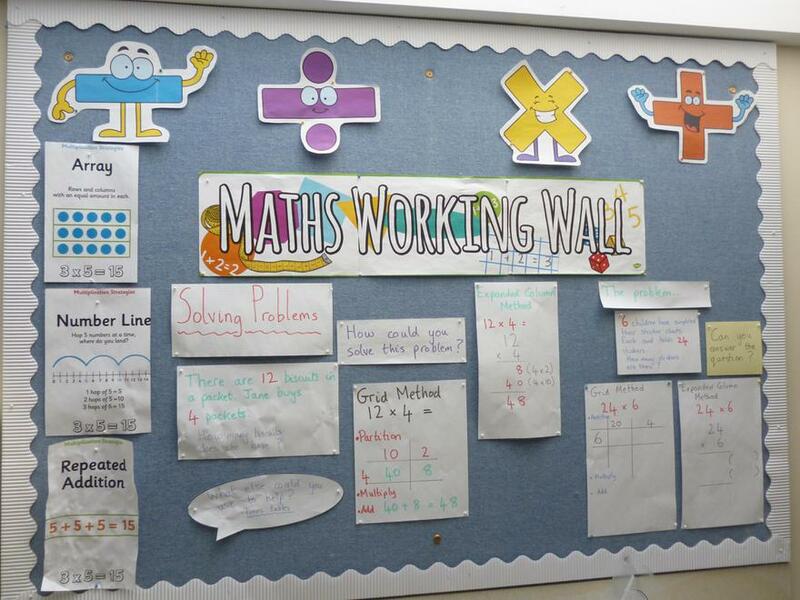 Monday 2nd October marks the start of Maths Week. 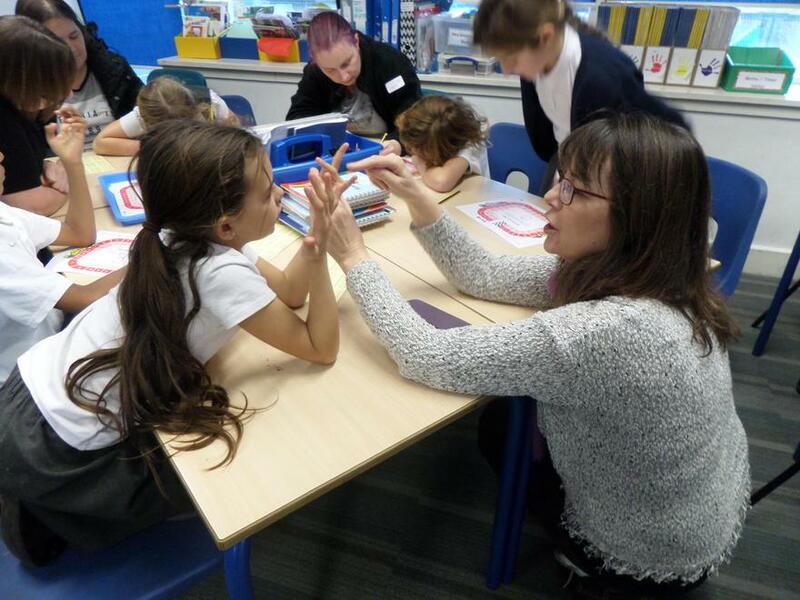 Children from Year 1 to Year 6 will experience The Adventure Of The Missing Number with the Quantum Theatre Company on Monday and children from Year 2 upwards will enjoy Brain Blaster puzzle workshops with the Happy Puzzle Company on Thursday. 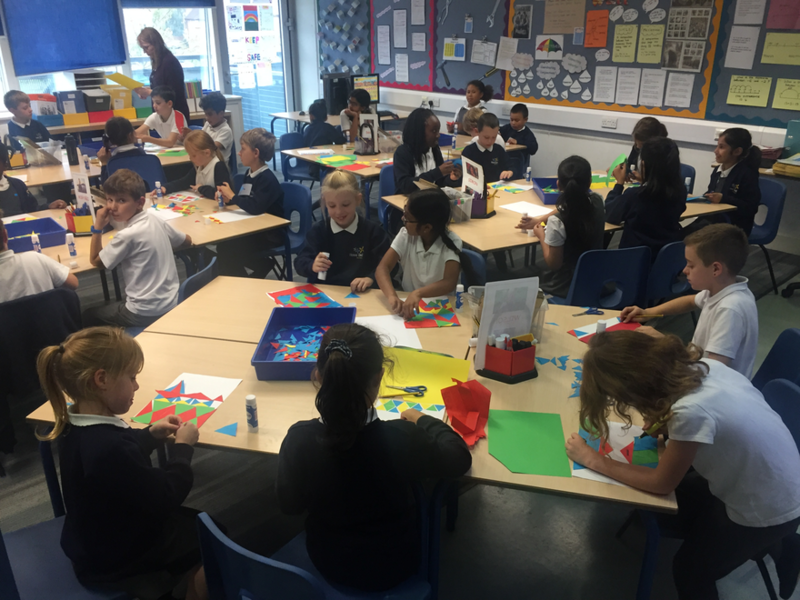 All of the children in the school will participate in a Maths Carousel and Friday provides everyone with the opportunity to dress up with the Wear-A-Pattern-To-School day. 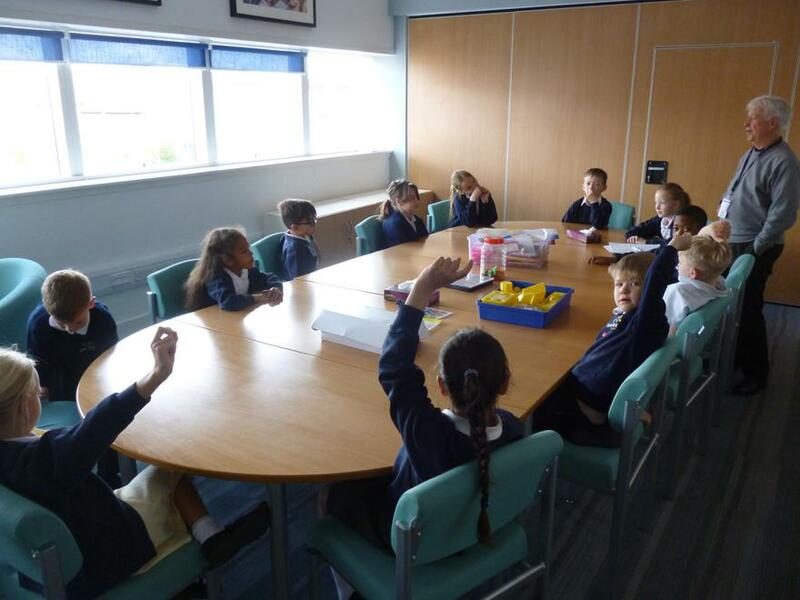 Contributions have been requested for children in Year 1 upwards to help us cover the costs of the events. 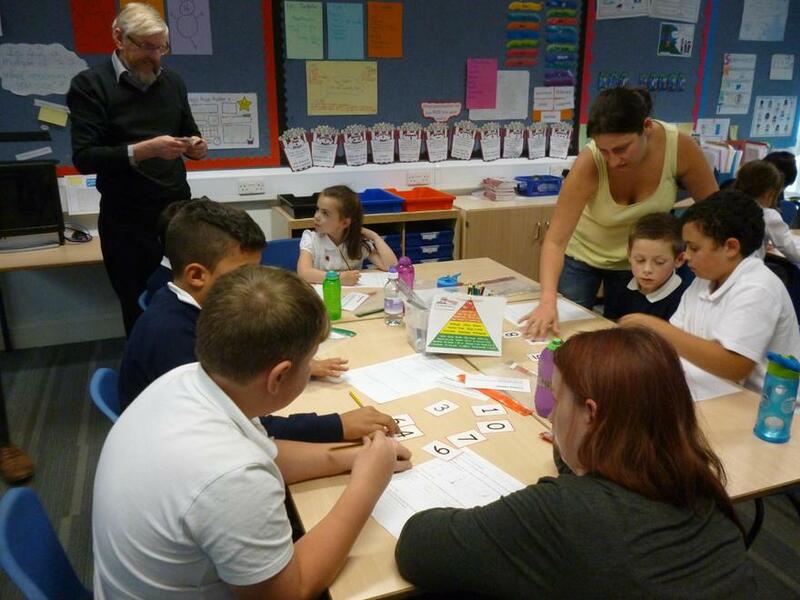 If you are a parent whose job involves Maths in any way and you can spare some time to come into school to talk about it please let your child's class teacher know and they will organise a mutually convenient time. 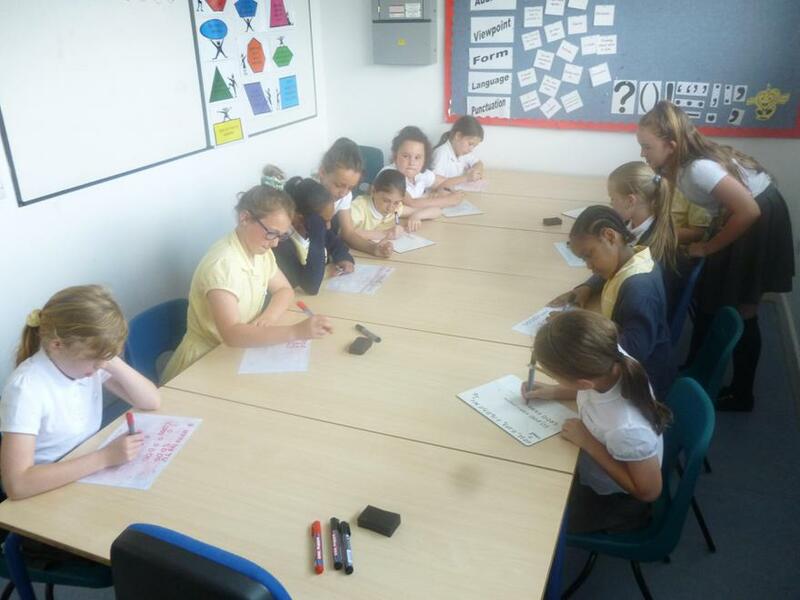 We are taking part in a new Mathletics Challenge which is running from 3 - 16 July 2017. 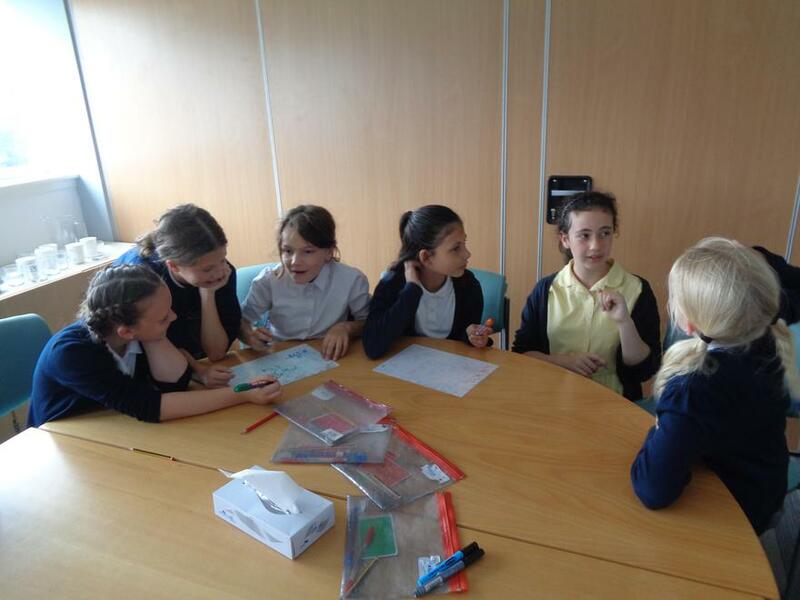 Last year we were in the top 25% of schools but this year we want to go higher! 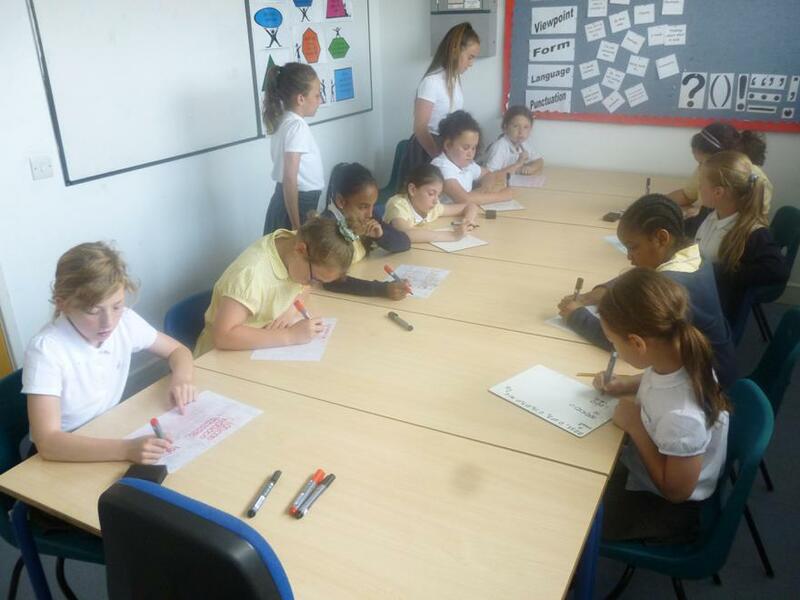 Our aim is to get into the top 10%. 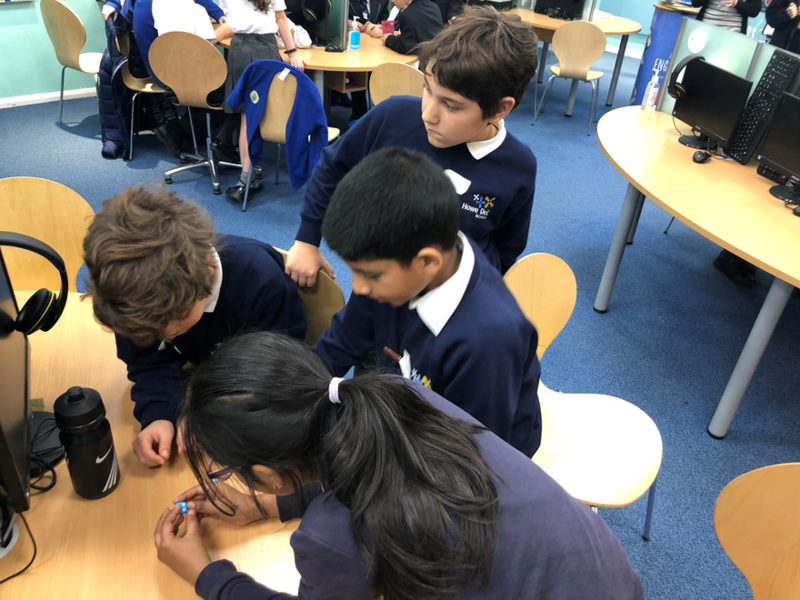 You will have seen from last week's newsletter that we are number 4 in the list of Hertfordshire schools as far as Mathletics is concerned and with your help we can move that even higher too. 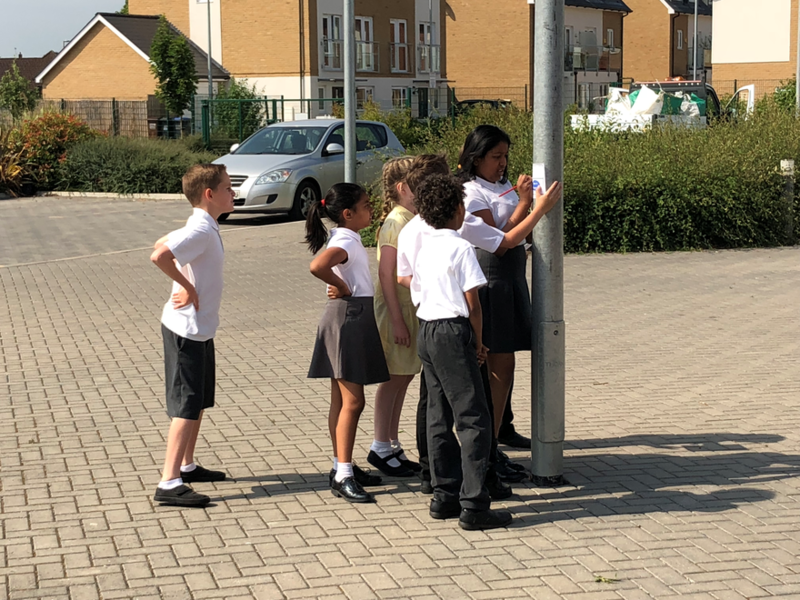 Please encourage your children to use Mathletics as much as possible over the next couple of weeks, not just on those activities which they are good at but also to challenge and stretch themselves. In fact why not have fun together and attempt the challenges as a family. Good luck everyone. 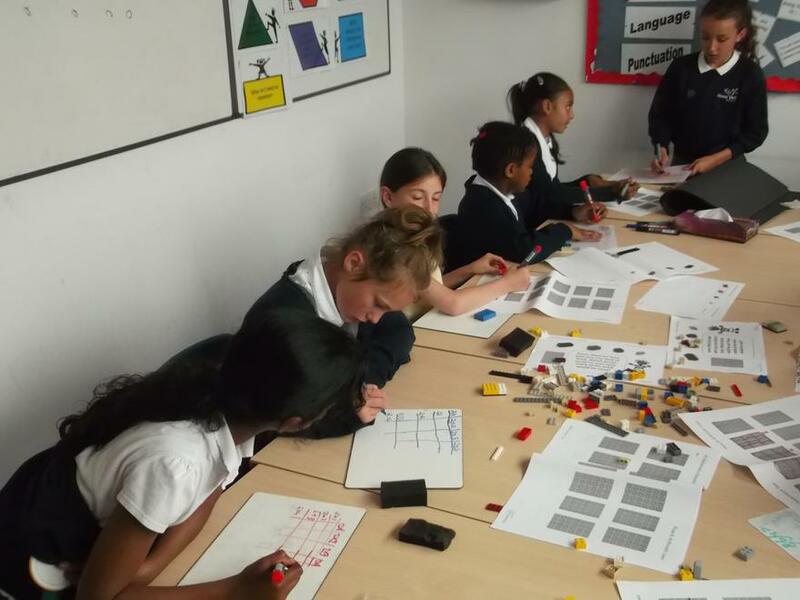 Our Year 6's have come to the end of their Girl Power Maths Group which they started back in Year 5, but not before they have spent a few weeks introducing some new Year 5s to the group and showing them what to expect. 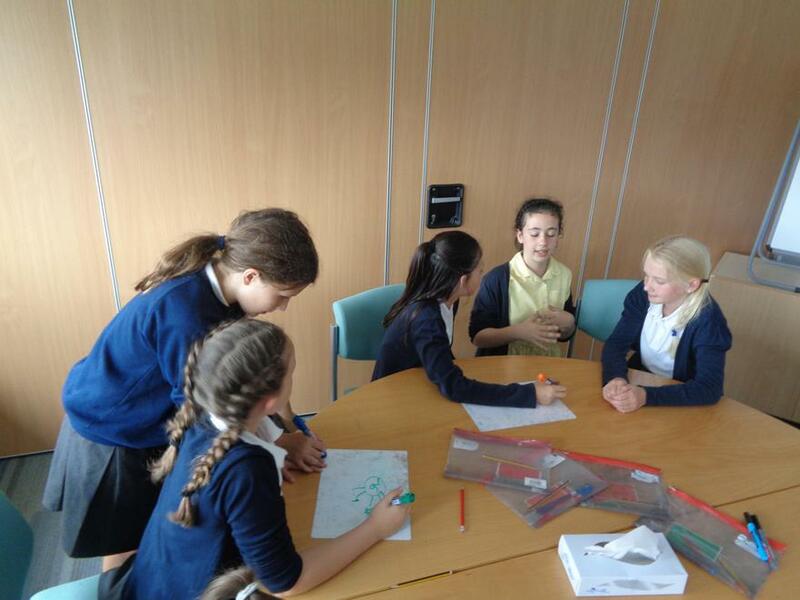 The girls have been a credit and their enthusiasm for the group has been fantastic. 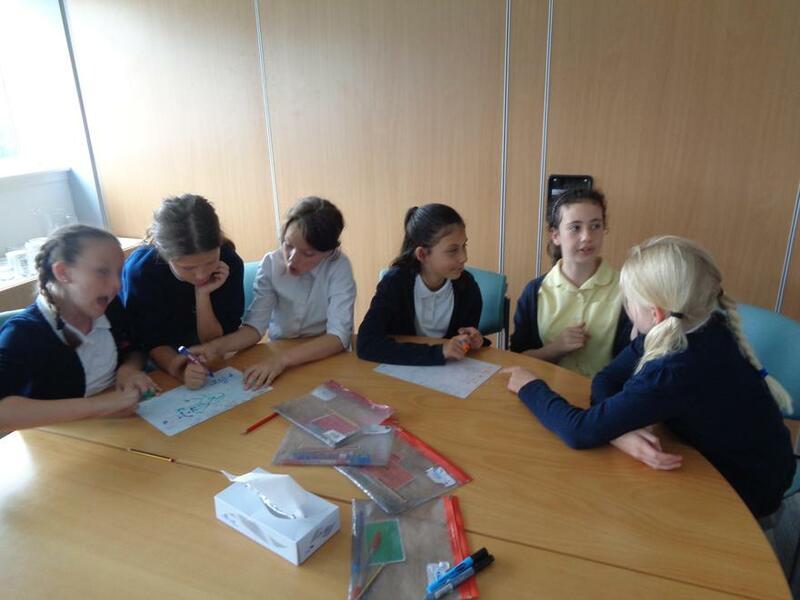 Good luck in Year 7 girls and good luck to our Year 5s who will continue the group next year. The number 12 has 6 factors: 1 and 12, 2 and 6, 3 and 4. 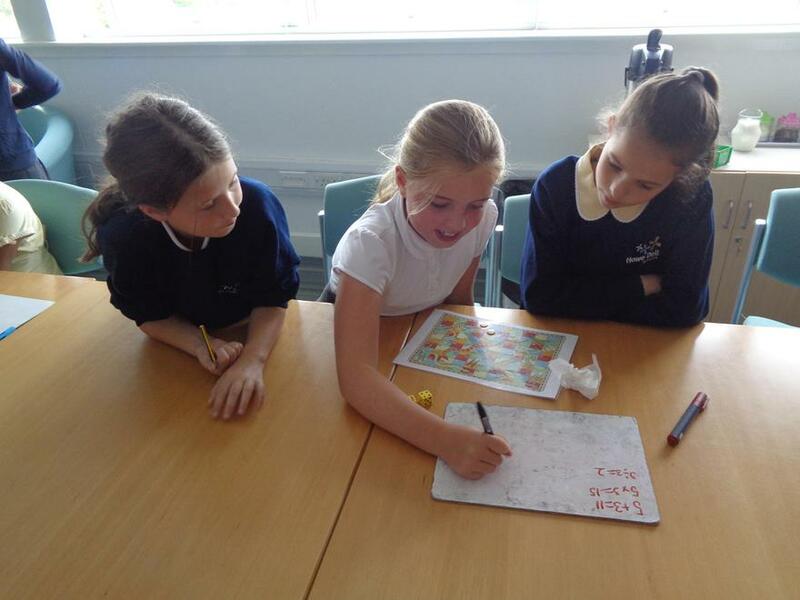 If you multiply the pairs of numbers the PRODUCT each time is 12: 1x12=12, 2x6=12, 3x4=12. If you SUM the factors (add them all together) but ignore the number you are exploring (the number 12) then you get an answer of 16 (1+2+3+4+6). The SUM OF THE FACTORS exceed the value of the number itself: 16 > 12. This means that 12 is an ABUNDANT NUMBER - the sum of it's factors is greater than the number itself. 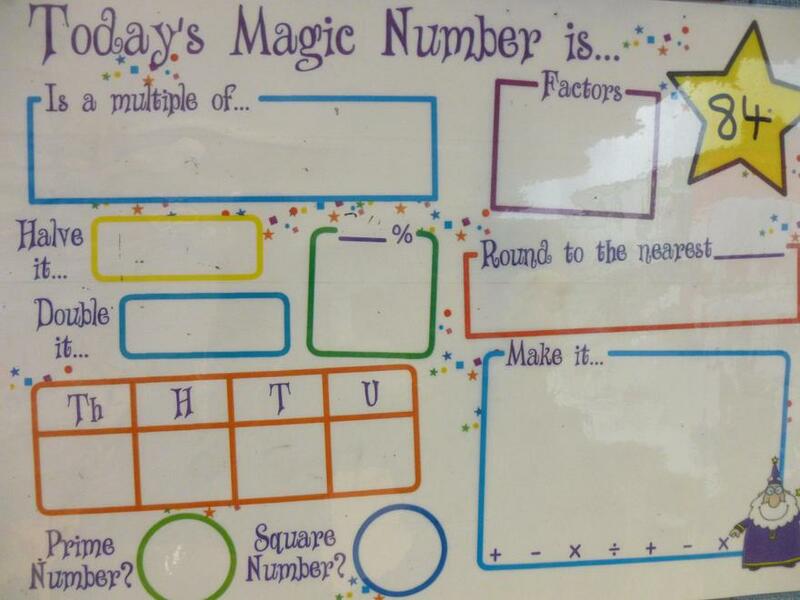 How many ABUNDANT NUMBERS can you find? When you list them against the SUM OF THEIR FACTORS can you spot a pattern? 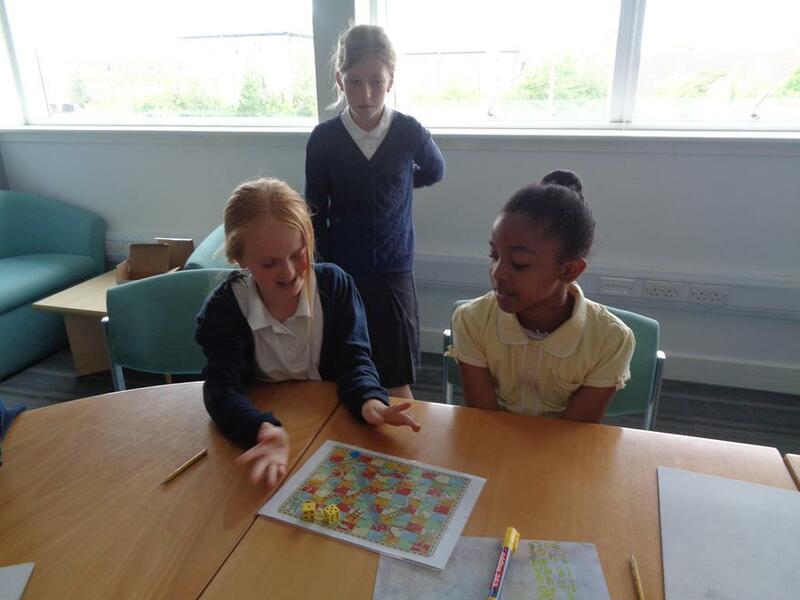 Can you identify the next ABUNDANT NUMBER from this pattern without having to work it out separately? A link to the investigation with more explanations is available below. 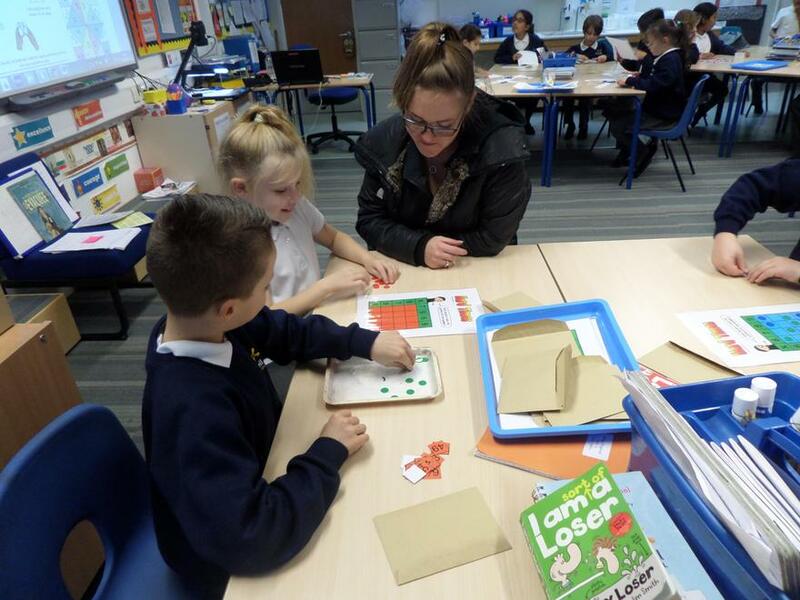 Remember: when trying to find all of the factors for a number always start at 1 and work your way up, taking care to work in pairs of numbers. 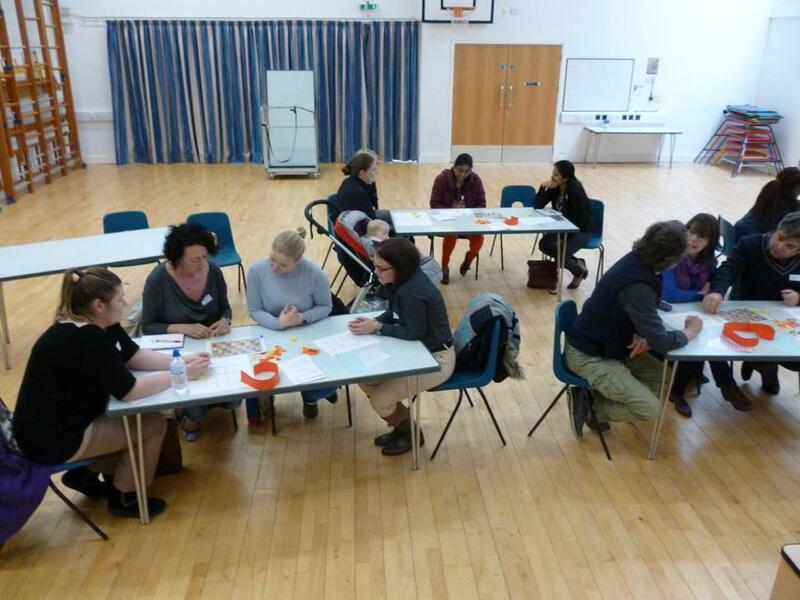 It was wonderful to see so many of you this month for our Parent Sessions - the sessions were very interactive and presented lots of ideas for exploring the wonder of Maths with your children. 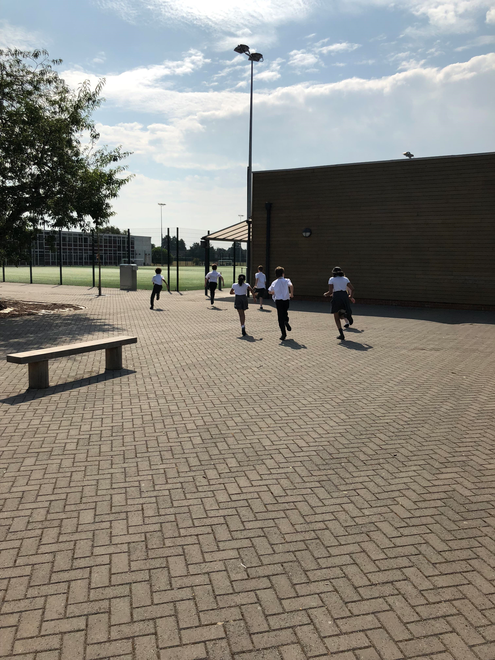 Feedback was overwhelmingly positive and there were lots of smiles, plenty of interaction and a little bit of competitiveness with some of the games. 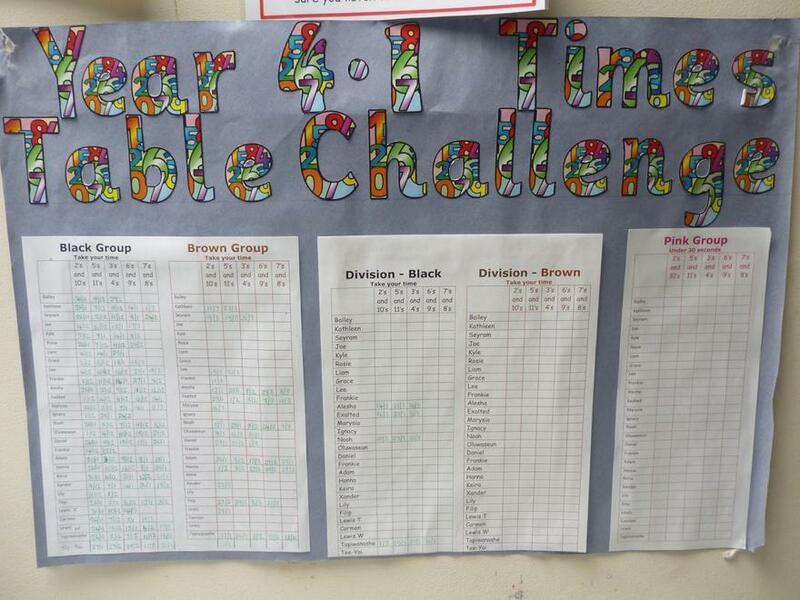 The school have entered the Mathletics Numeracy Challenge which runs from 21 November to 4 December. 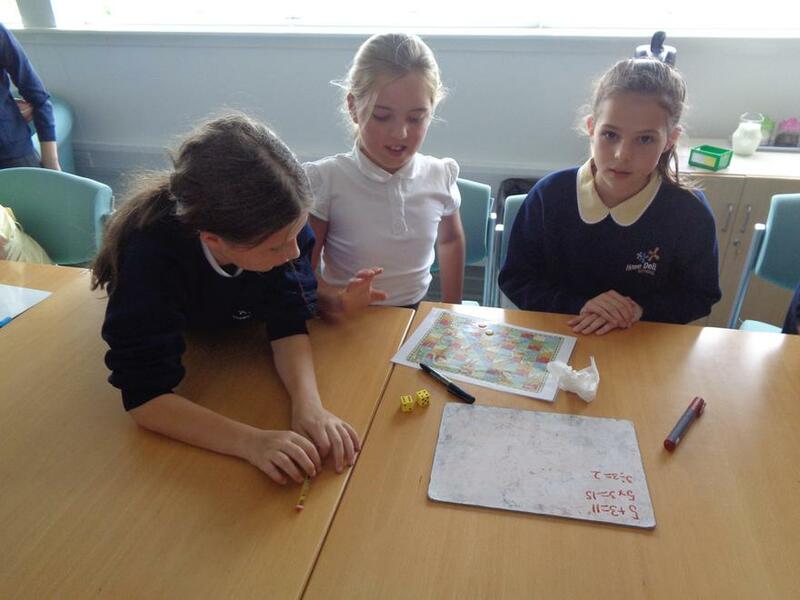 It challenges children with questions and multi-player games in a safe environment. There are even prizes available for the top performing classes in the country. 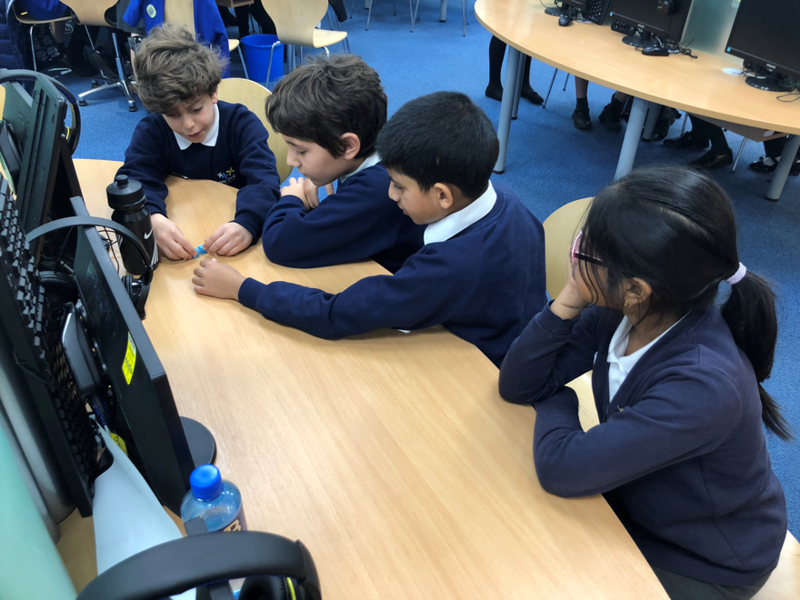 Children will start accumulating points once they are logged in and are answering questions or are on the Live Mathletics section of the website. 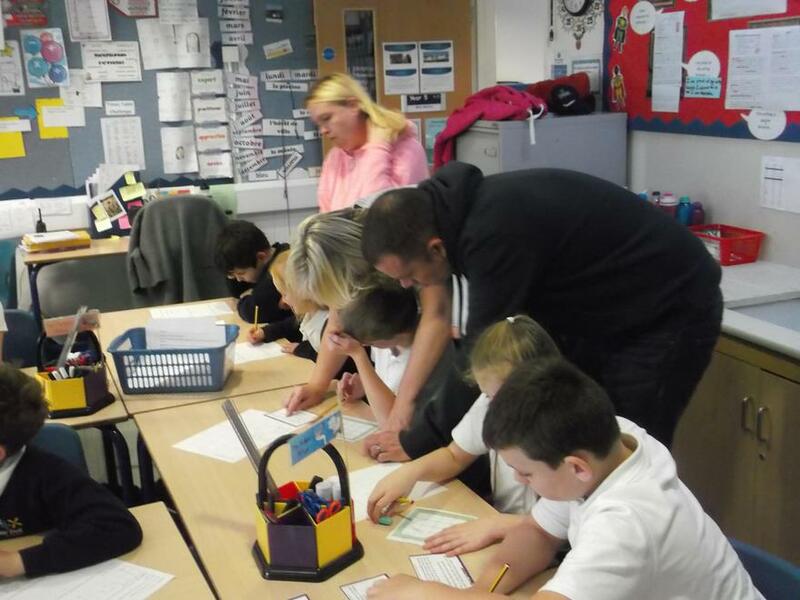 Please encourage your children to participate just by using their normal Mathletics login. 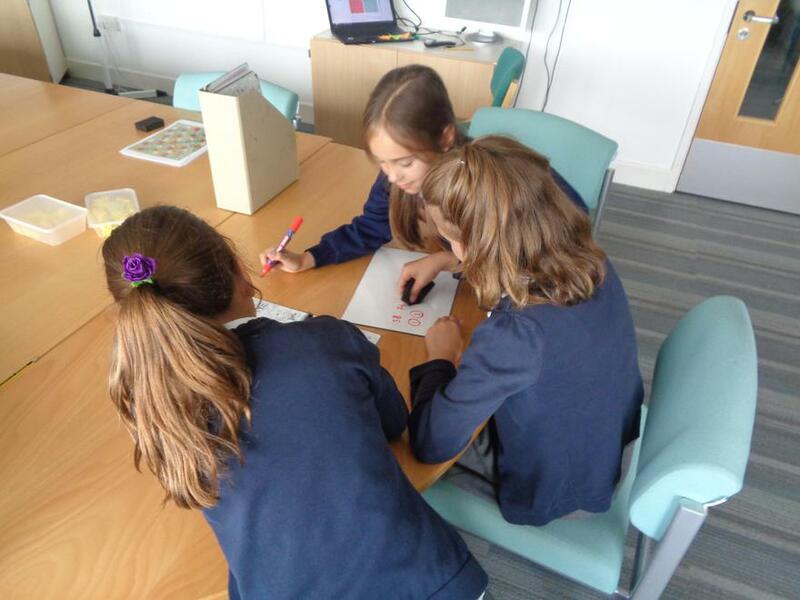 A team of four Year 6 children represented the school in the National Young Mathematicians Award run by Explore Learning in conjunction with Cambridge University. Feedback from the judging panel commented very positively on their ability to record their findings ("The team's method of recording was one of the strongest we saw in round 1"), the team's timekeeping, their willingness to ask "why" in order to check understanding and their encouraging of each other. 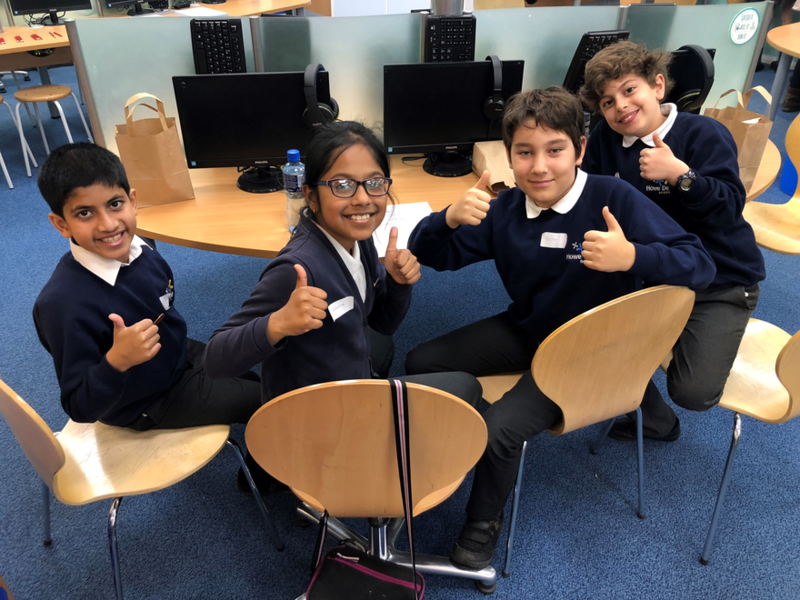 Unfortunately they did not make it through to the regional finals this time but as you can see from the photo they had an enjoyable time at the event. 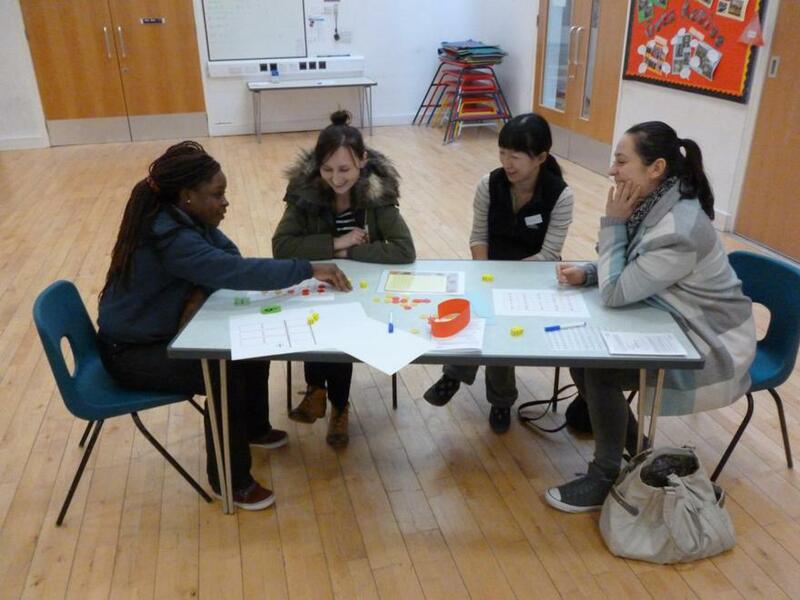 Well done to Fifi, James, Cheryl and Ashley and to the parents for helping them get to and from the event. 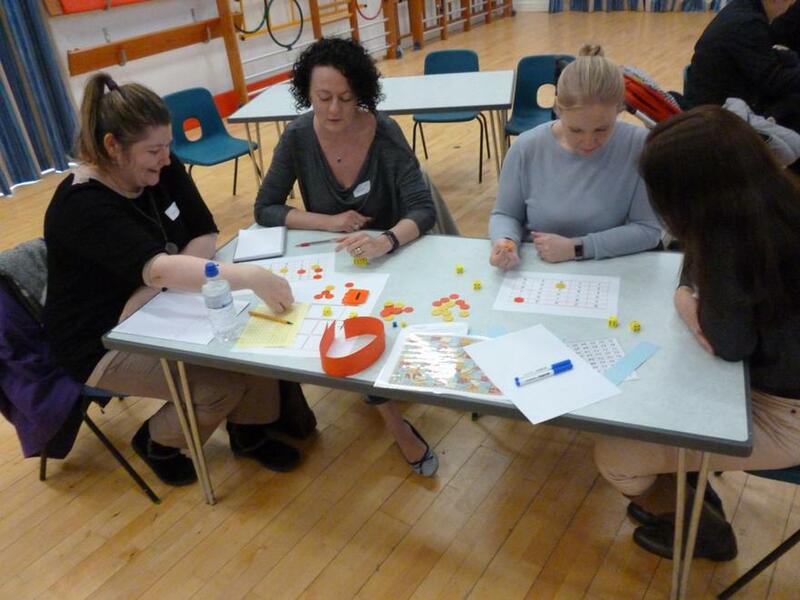 "Thank you for having these sessions where parents can get involved in their children's learning"
"Thank you - really enjoyed today's Live Learning"
"Absolutely amazing - a true test of strength and ability in Maths. 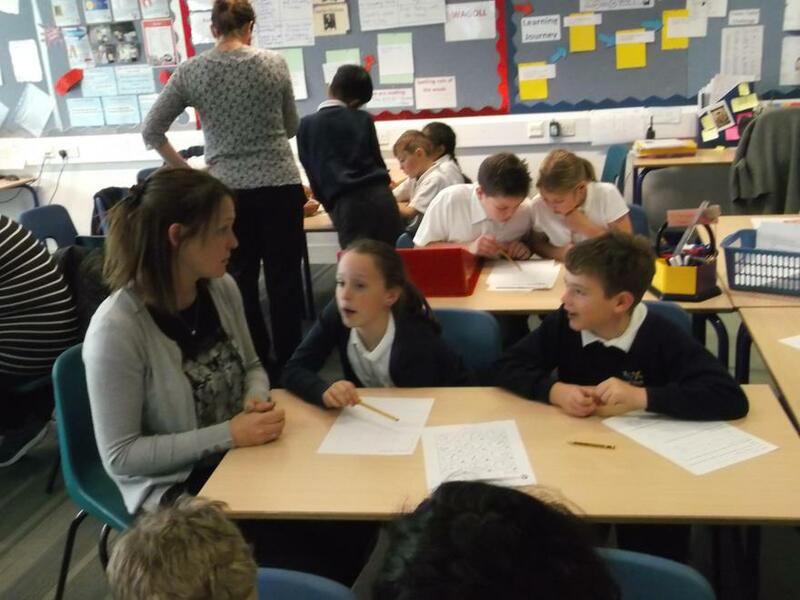 This was by far the best Live Learning ever"
"Very interesting - I learnt a lot myself"
"It has given me an idea of how we can make learning fun at home"
"It has helped me to know which Mathletics section to focus on"
"It captivated the class very well"
"I liked everything in the lesson"
"The most useful thing about the session was watching the children stretch themselves"
"Teachers made the lesson very interactive and interesting"
Your class newsletters for the Spring term (which will be issued on 9th January) will provide you with details of your child's next Live Learning session. Thanks again for joining in and we'll see you all soon. 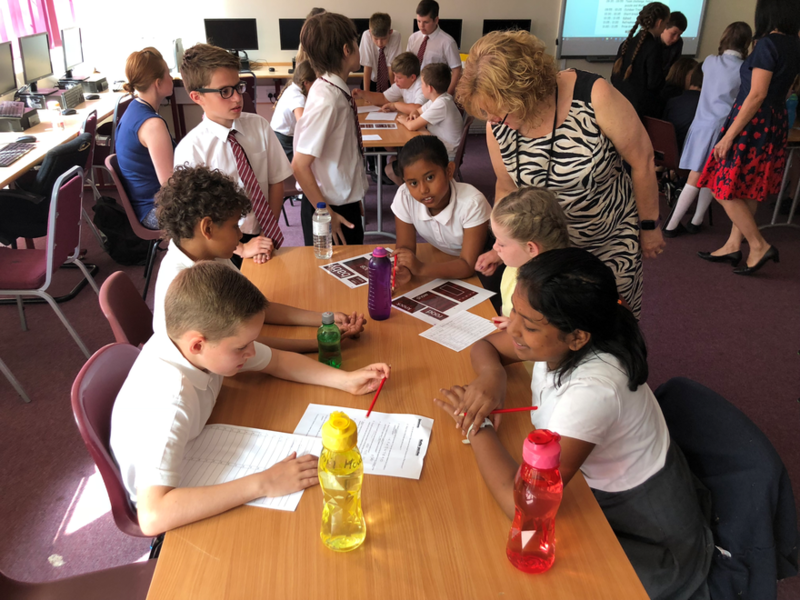 Throughout the summer term we have been involved in a research project in conjunction with Herts for Learning which has looked at improving the mathematical thinking of some of our Year 4 children. 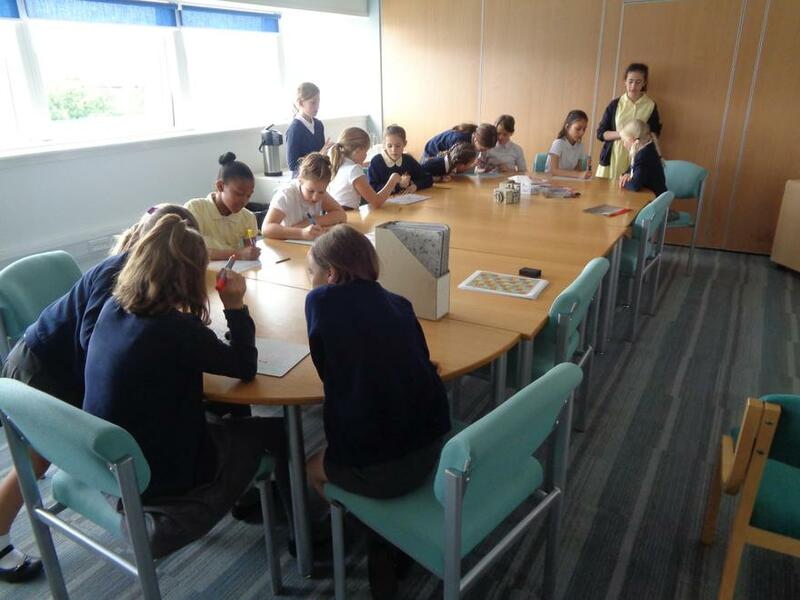 They have had weekly sessions with Mr Mason where they have approached a number of very different problem solving scenarios, some of which have required individual, paired and group work. 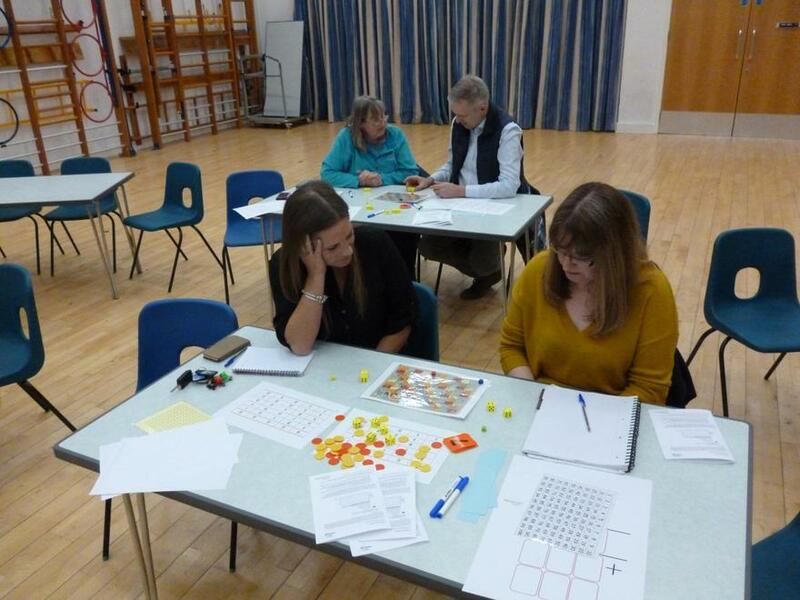 Thinking, talking and working mathematically has been at the heart of it all and each task has encompassed the CPA approach (Concrete - Pictorial - Abstract) which involves the different ways problems can be approached, solved and recorded. 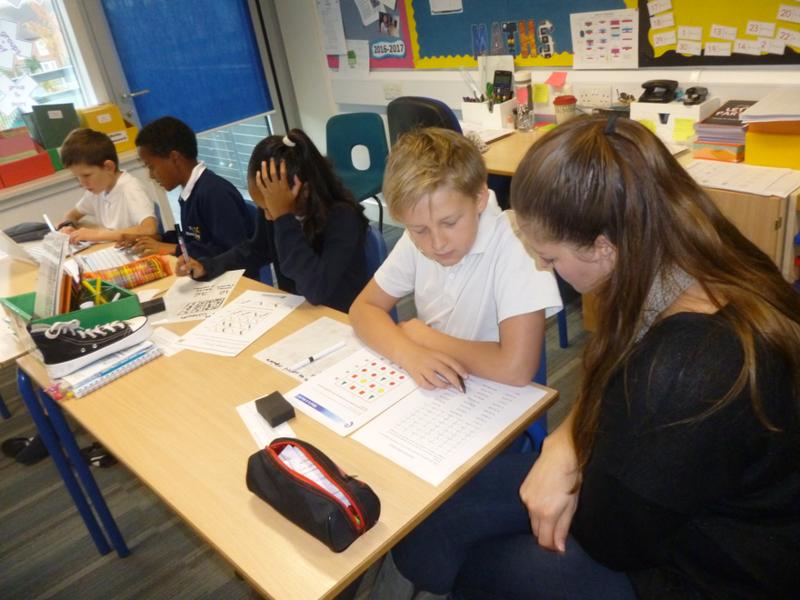 Feedback from the children showed that they felt more confident with Maths at the end of the sessions and progress in the class has also been very rewarding. A summary of the research is included below. 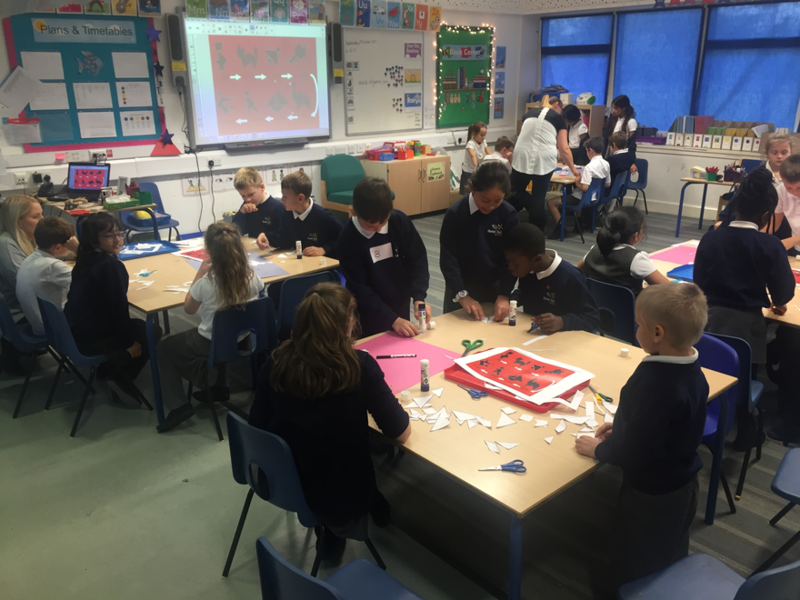 Thank you to all of the children who participated and to their parents for the support. 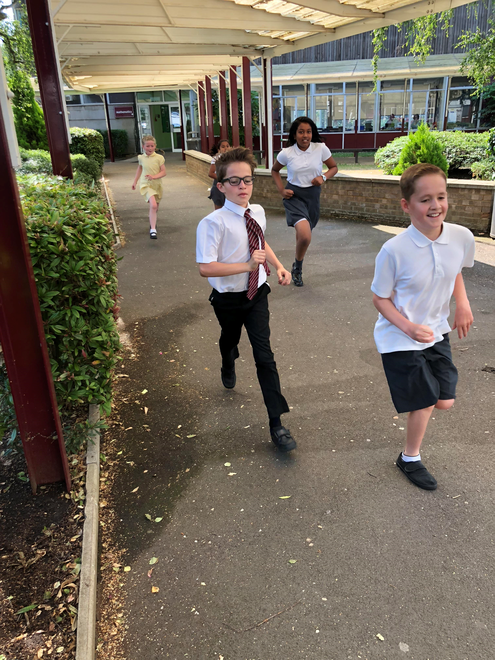 IT'S OFFICIAL : MATHLETICS Is Good For You ! 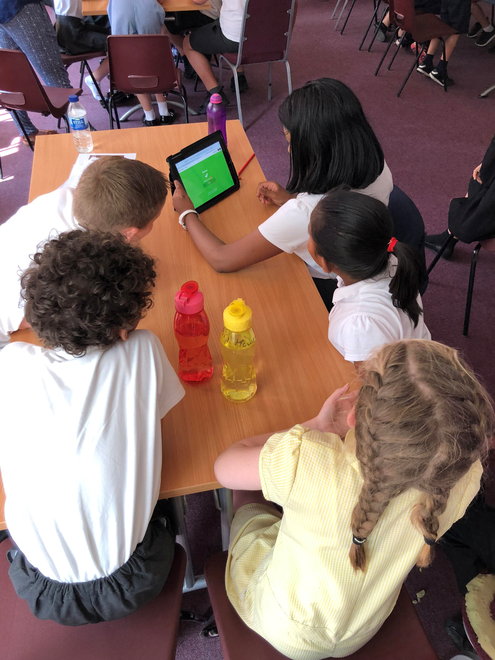 Using Mathletics 3 times a week improves your SATs results An Oxford University report has highlighted the benefits of using Mathletics at least 3 times a week. Click on the link to the left for more information. Recently the Romanian Football Team wore shirts that didn't have numbers on them - instead they had mathematical calculations to represent the numbers, for instance, instead of 1 they might have had: 2² - √9 ie 4 (two squared) minus 3 (square root of 9). 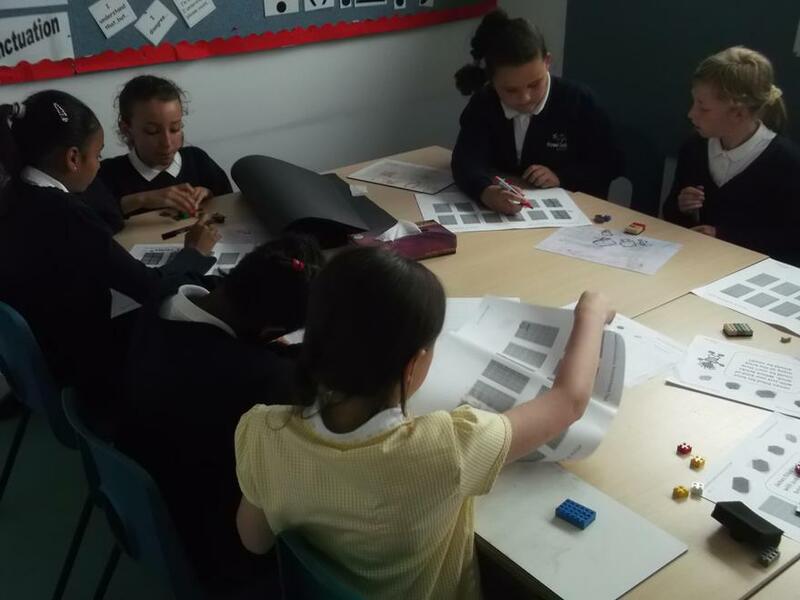 Think of the most imaginative ways of creating the numbers 1 to 11 for your football team: can you use each of the four number operations for each one or perhaps you could incorporate BODMAS. Make it as difficult or as easy as you like but remember to always HAVE FUN! 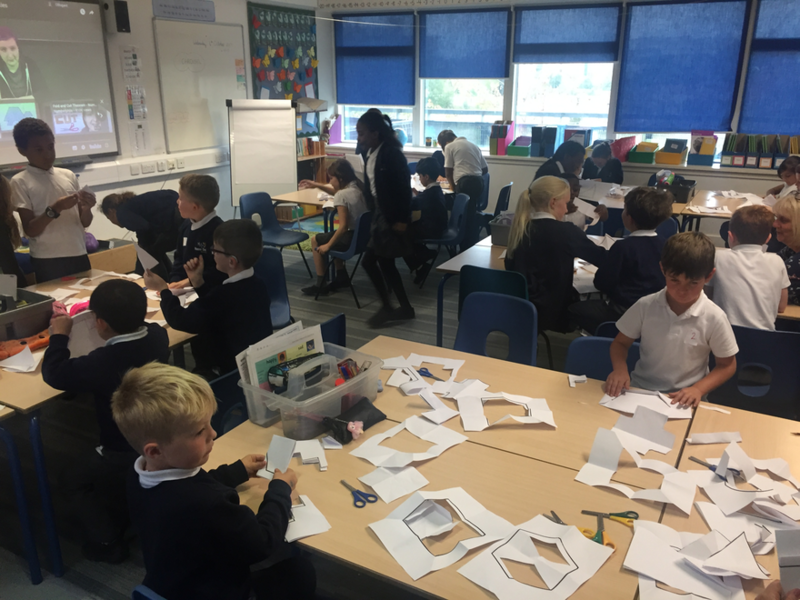 Recently Mr Thomson, our Maths Governor, visited us to see what we have been up to in the world of Maths at Howe Dell - you may have read about it in our School Newsletter. 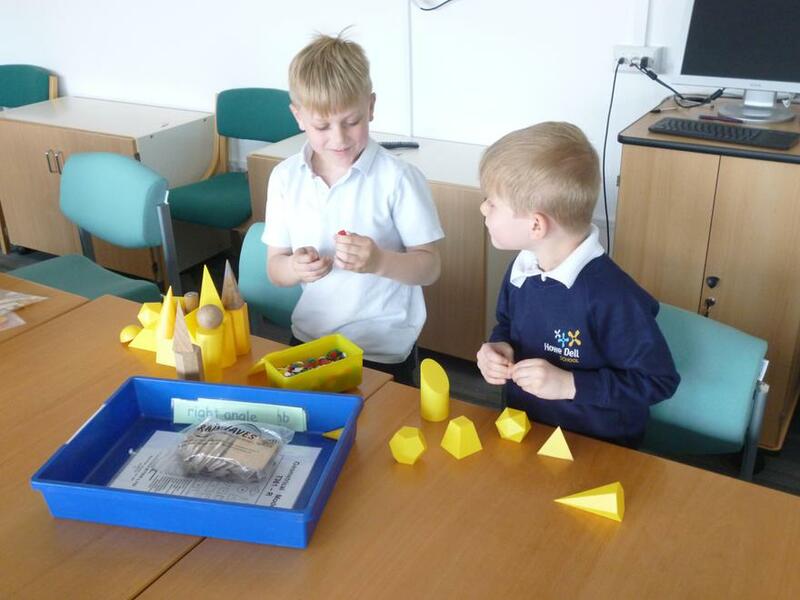 He looked at our plans for the future and what we have coming up as well as taking a look at all of the fantastic displays put up in your classrooms to help you with your Maths. 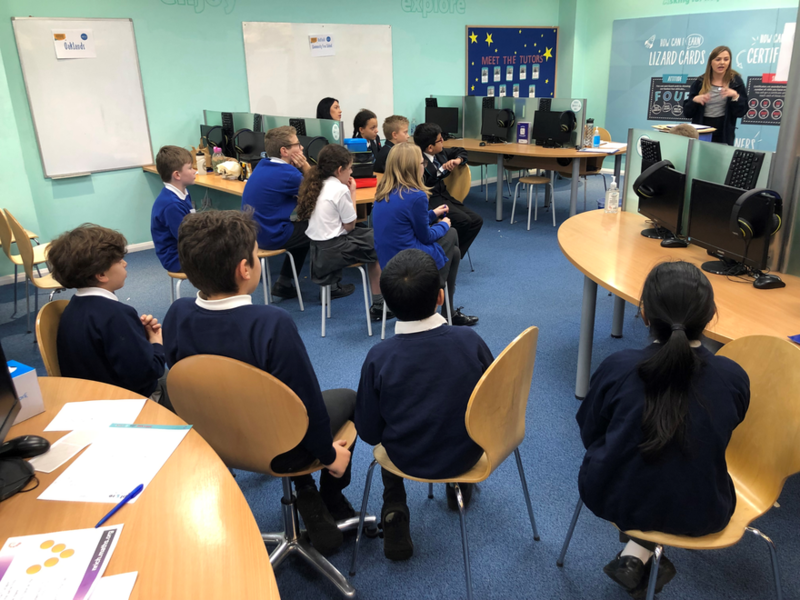 However, the highlight of his visit was a Pupil Forum session where he got to hear about all of the things that you like doing in your Maths lessons - he was very impressed. 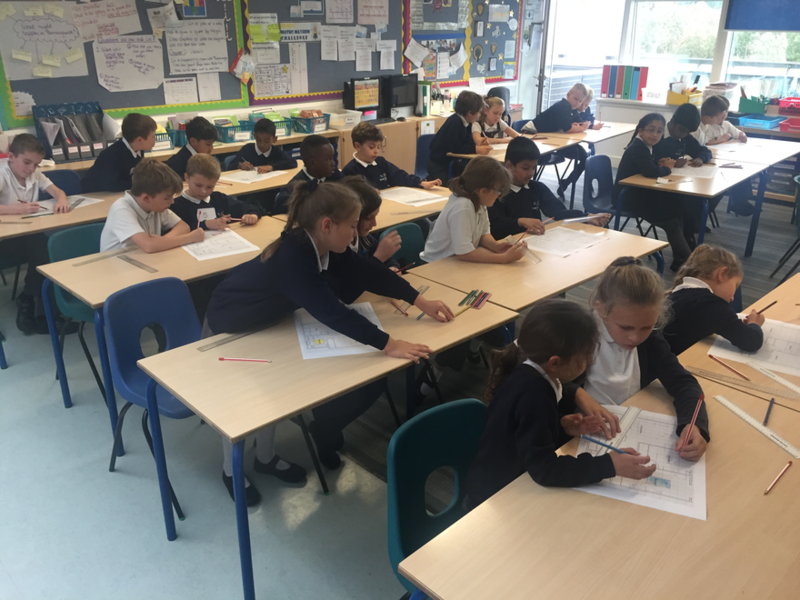 How many of the numbers from 1 to 50 can you create by adding, subtracting, multiplying, dividing or combining any of the four number operations, using ONLY PRIME NUMBERS. 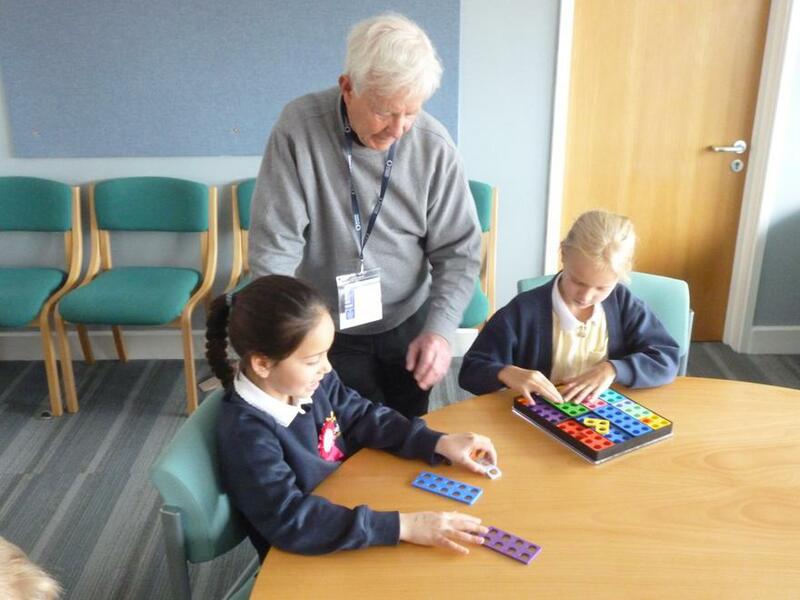 Younger children might want to start by writing down all of the prime numbers and perhaps concentrate on adding and subtracting to create numbers up to 20. Remember - 1 is not a prime number - WHY? 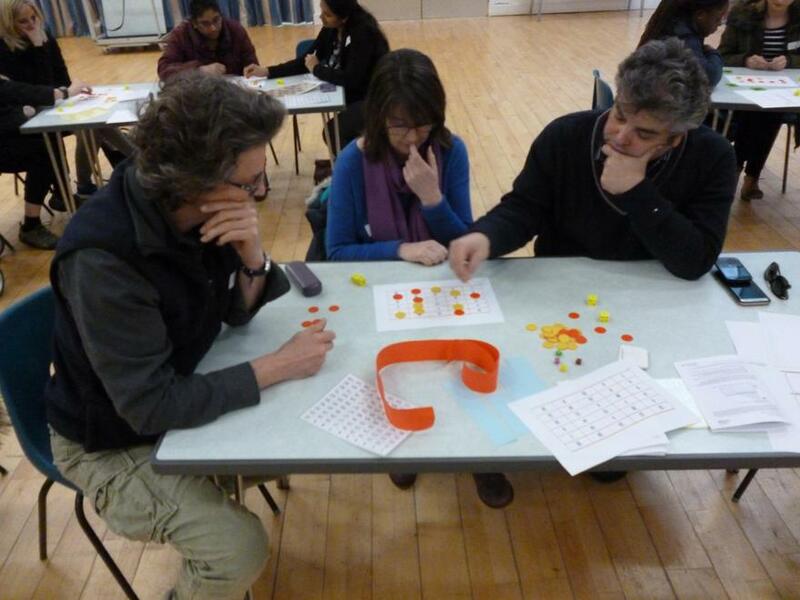 You might also want to have a go at the problem below, which is also about PRIME NUMBERS. 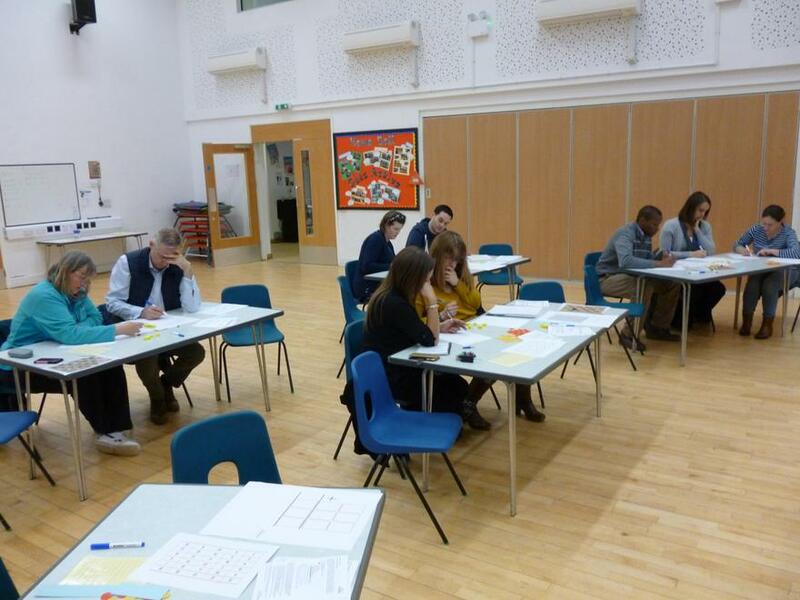 Over the last two weeks we have run an afternoon and evening session for parents on updates to the way Maths is taught at Howe Dell and also to provide information on forthcoming assessment. 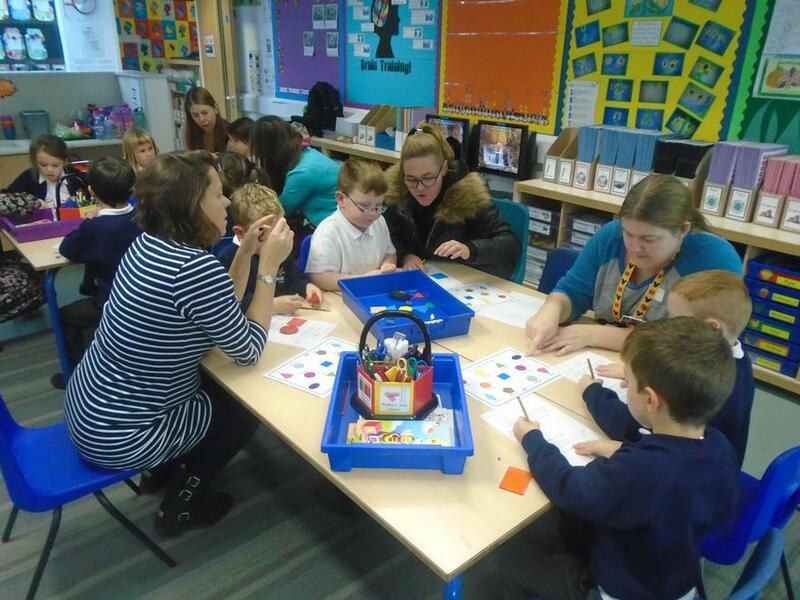 The sessions were very well attended - thank you to everyone who attended - as well as being very active, with parents' Maths brains very much being engaged! 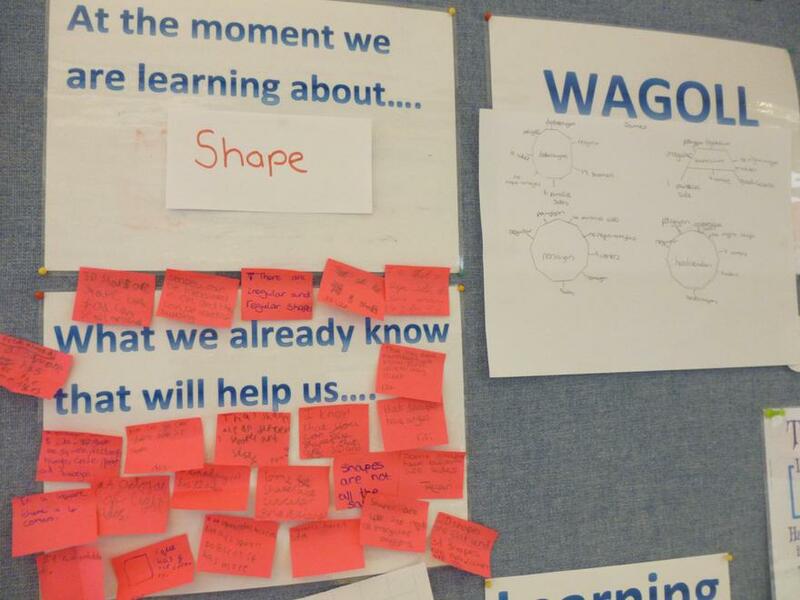 Added to that lots of questions and discussions which all contributed to very positive, well-received sessions. 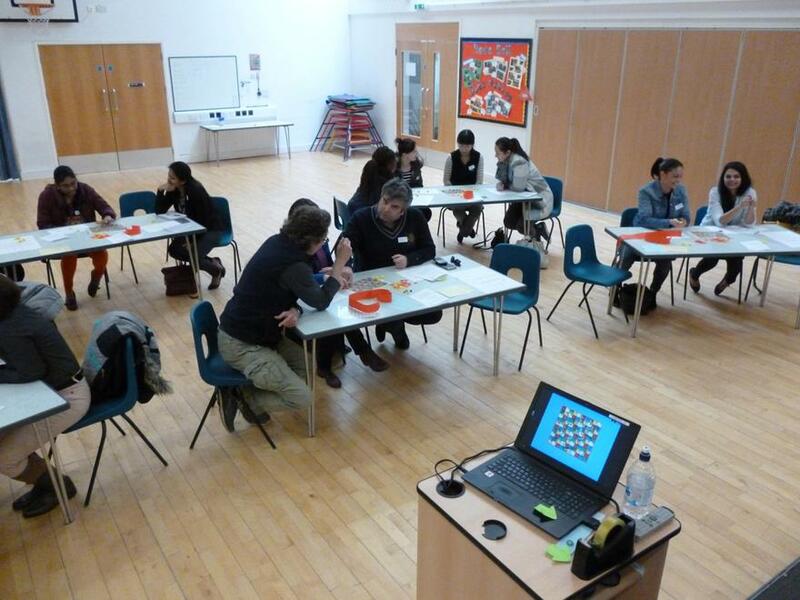 You can see the feedback summary from parents below, together with the slides that were used. 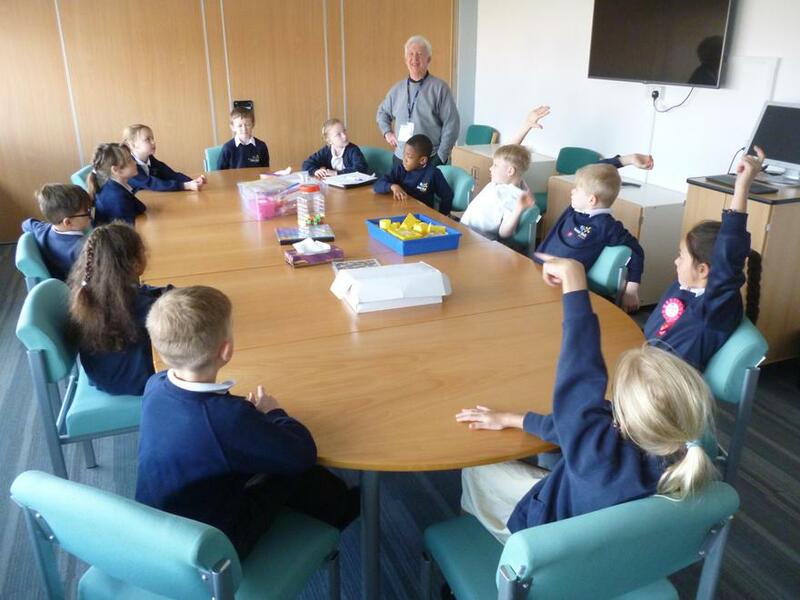 If you have questions regarding Maths in school then your child's class teacher should be contacted in the first instance. 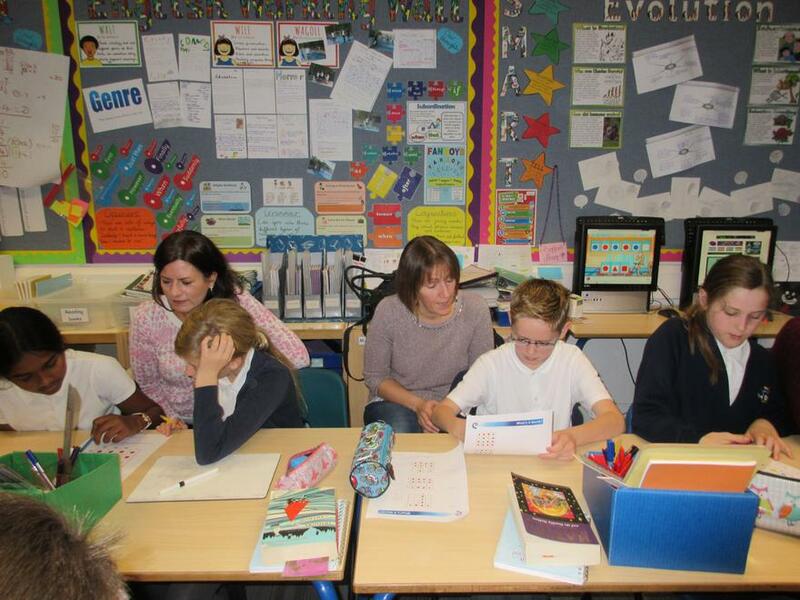 This has been updated to be in line with the new Curriculum and was presented to parents at the Information Evening. 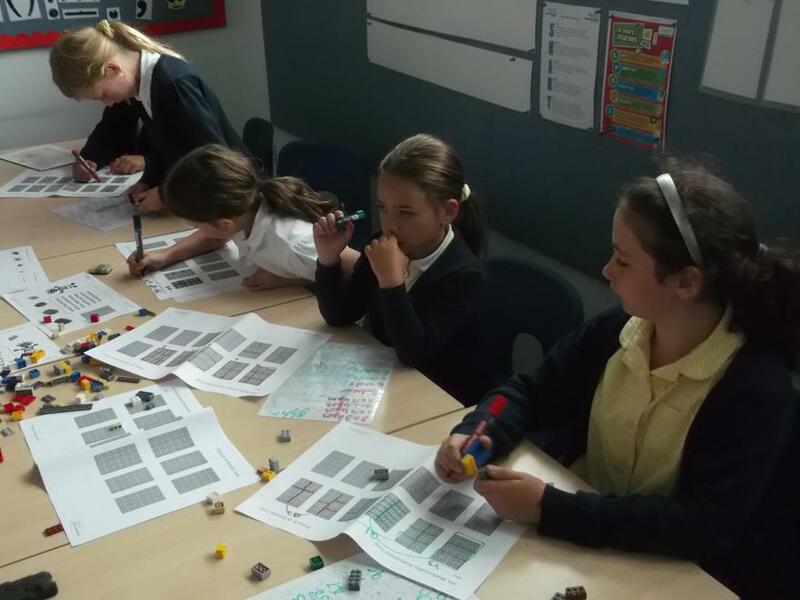 Below is a summary of the policy which illustrates the different ways in which the strategies for learning the different number operations are introduced at school. 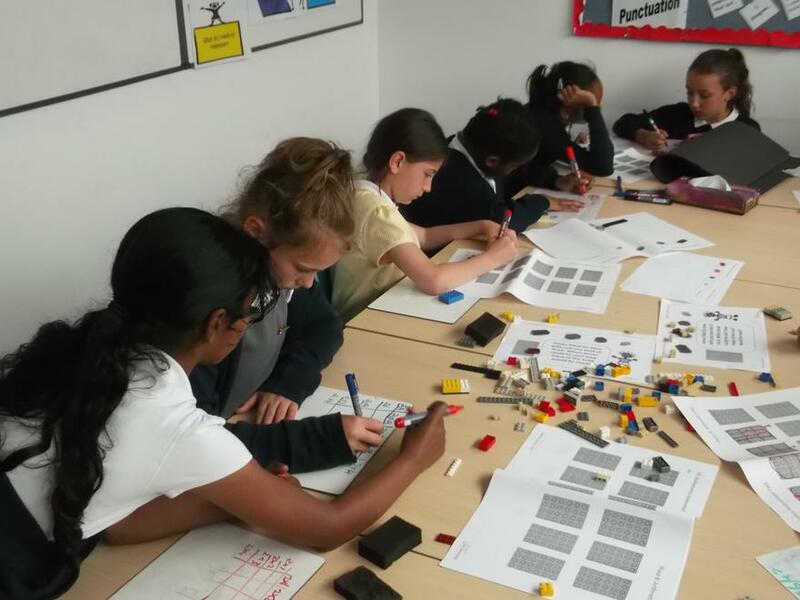 Please remember that the more formal written methods should only be used by children in situations in which their use if efficient and effective - it is really important that children are applying as many mental calculation strategies as they can as these can be much more efficient in many situations. 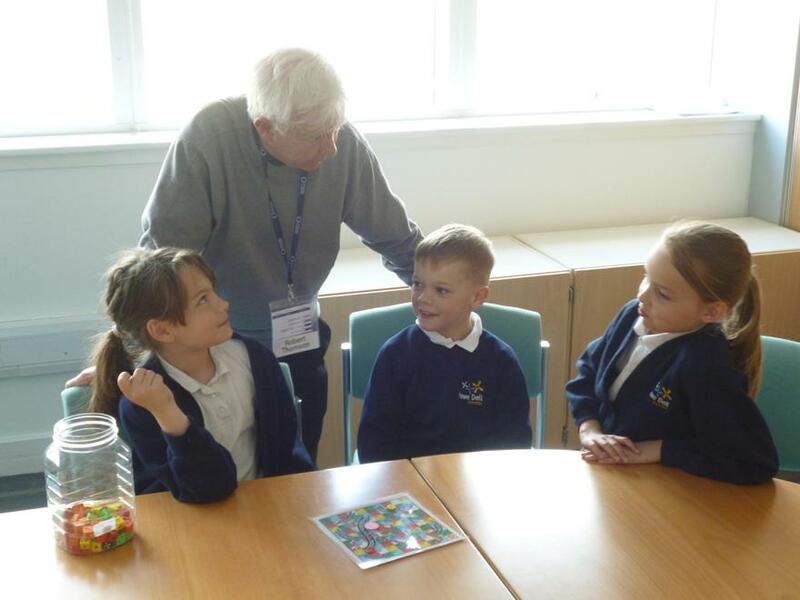 The lovely people who run Mathletics have been in touch to remind children and parents that there are a number of ways in which Mathletics can help children with their times tables (or multiplication tables). 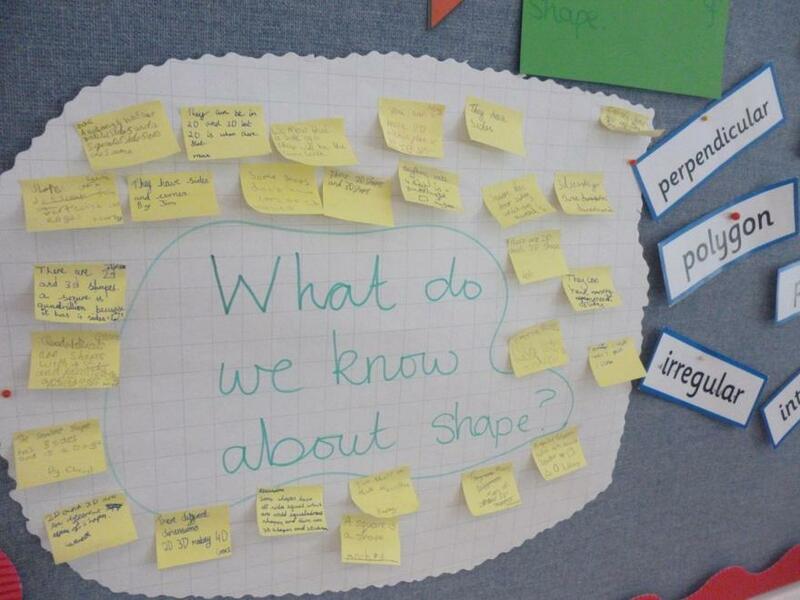 As you may have heard recently, this is a specific focus within the Maths curriculum currently. 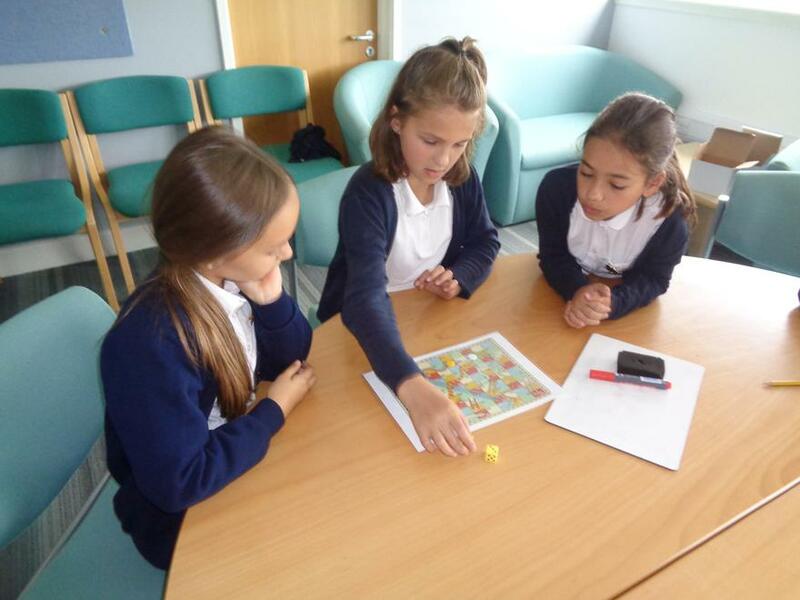 In addition to the multiplication activities in the Mathletics courses, there are a set of activities called 'Groups of...' and another activity 'Multiplication Facts', which allows student to practise all their times tables up to 12 × 12. 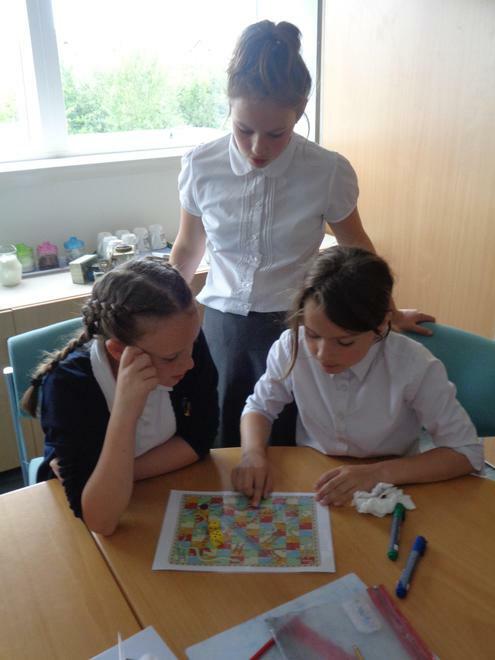 Times tables are in Live Mathletics from level 3, so children can practice and learn in a fun way. 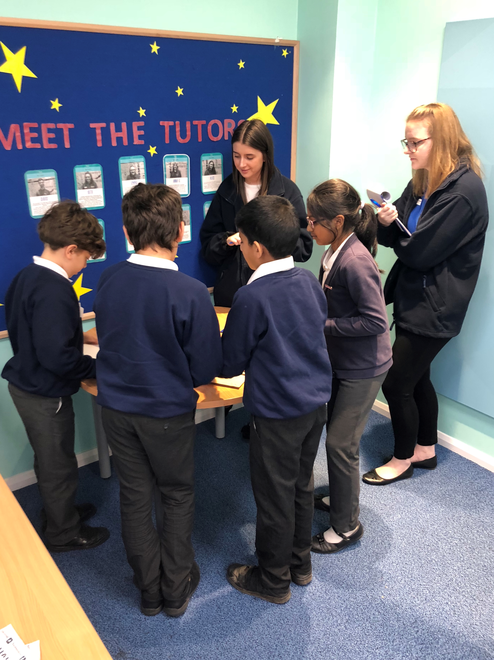 Congratulations to our Year 6 Maths team who competed in the first round of the Young Mathematicians' Award earlier this month and progressed to the REGIONAL FINALS, with the highest score of any first round school. In the final this week they were up against teams from all around the region hoping to make it through to the final. 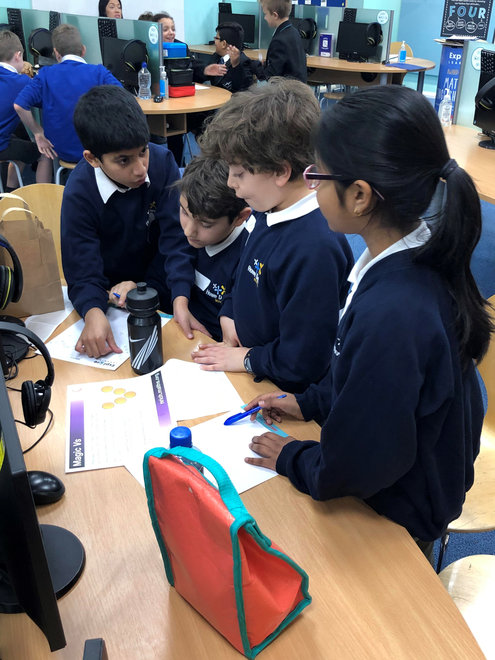 Their challenge in the regional final, called Dice Stairs, was particularly challenging, particularly with regard to recording of solutions, so we wait to see how they have fared. 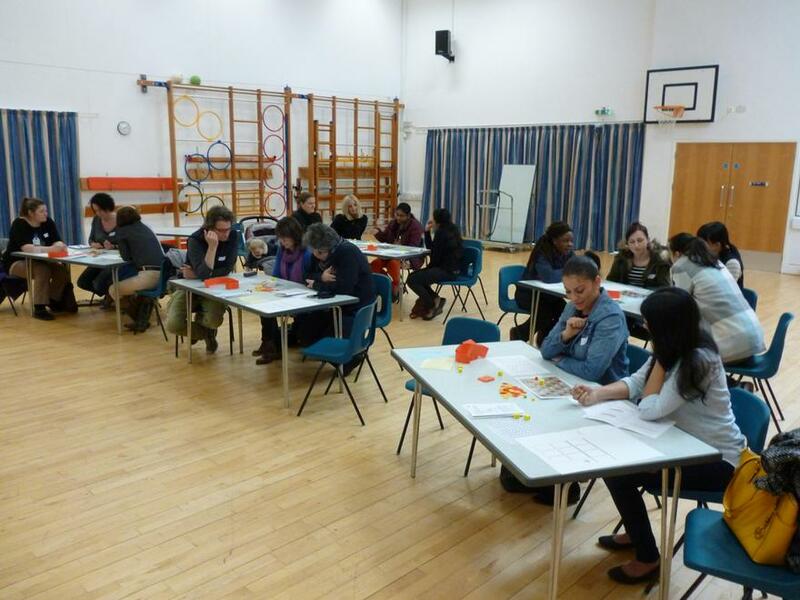 The event is run by Explore Learning in conjunction with Cambridge University and involves a first round, regional final, then a final at the University.. 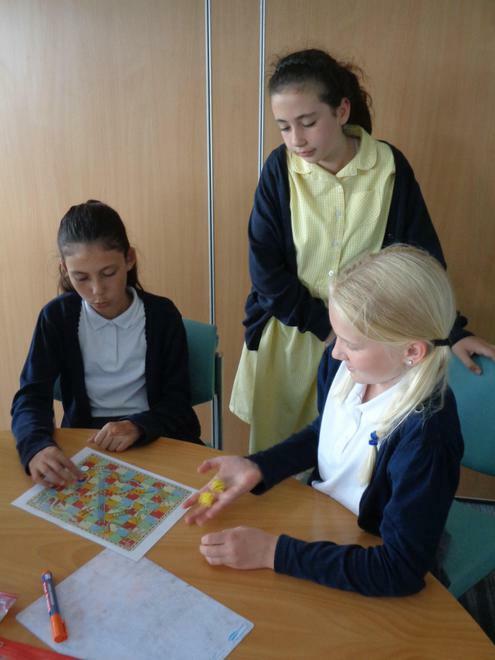 The competition is based on problem solving and teamwork - two qualities we look to incorporate within our Maths lessons at school. 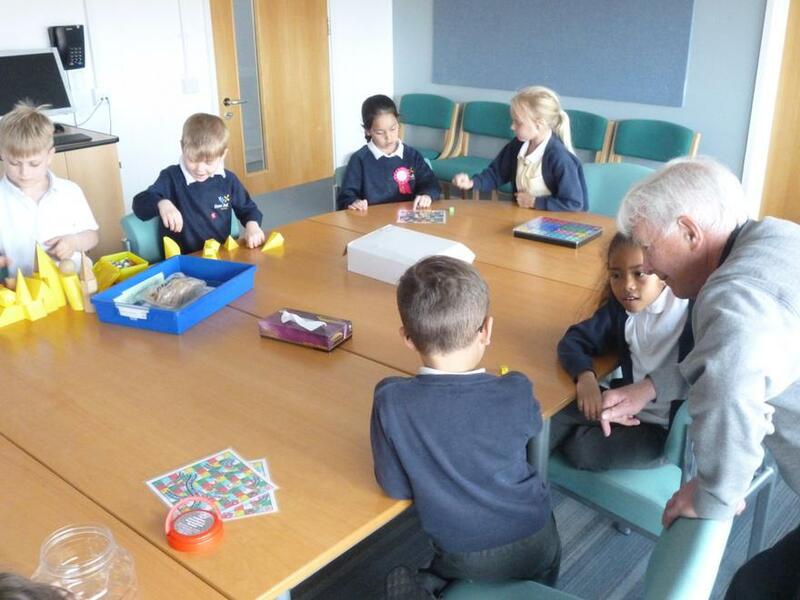 Our children were commended for their effort and approach to the problems. More information about the competition can be found below. 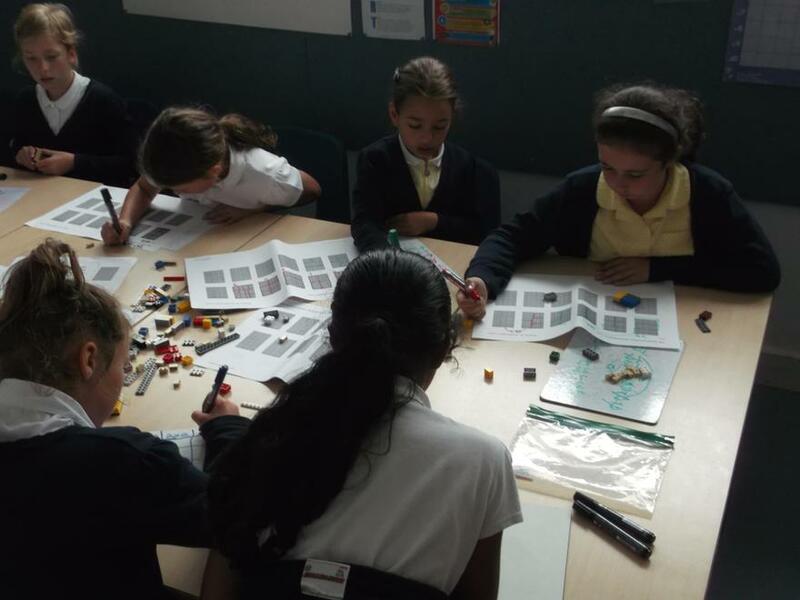 However, even if your child is not in Year 6 or is not in the team there are still some very useful problems to be found here as well as information about the different ways in which the children are encouraged to explore mathematical problems. 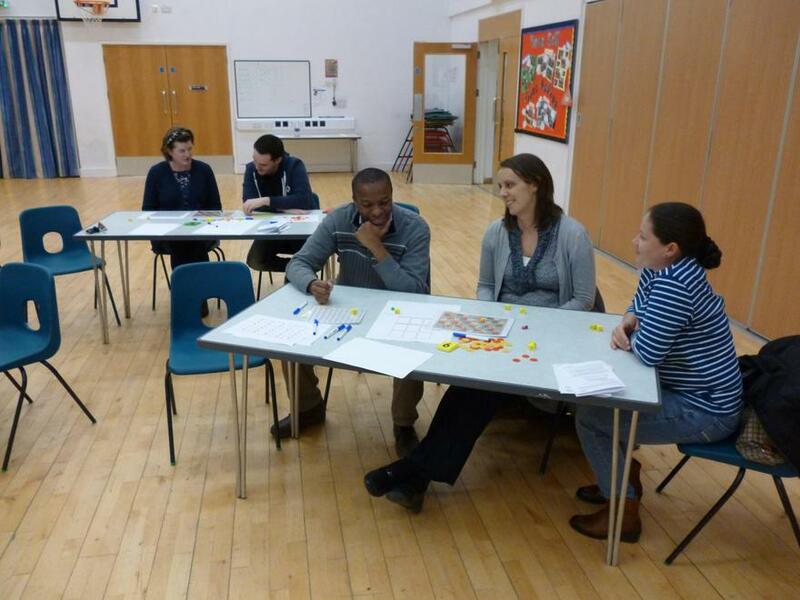 Thank you to everyone who participated in the World Education Games just before half term. 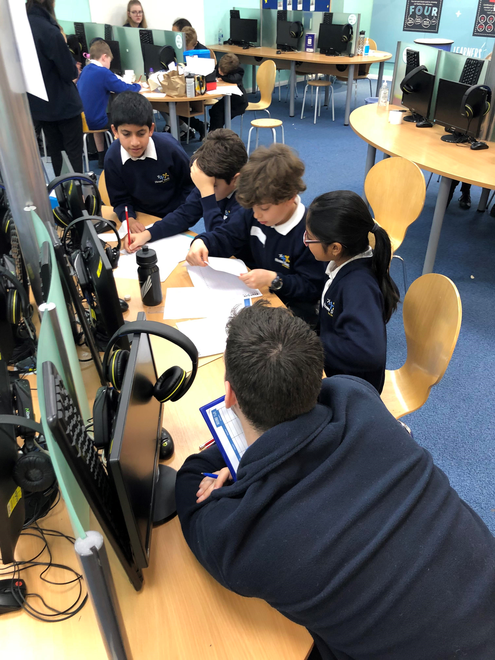 Over 100 of our children took part and together answered over 11,800 questions which meant that in total they were online for nearly 14,000 minutes - or to put it another way - nearly 10 days! 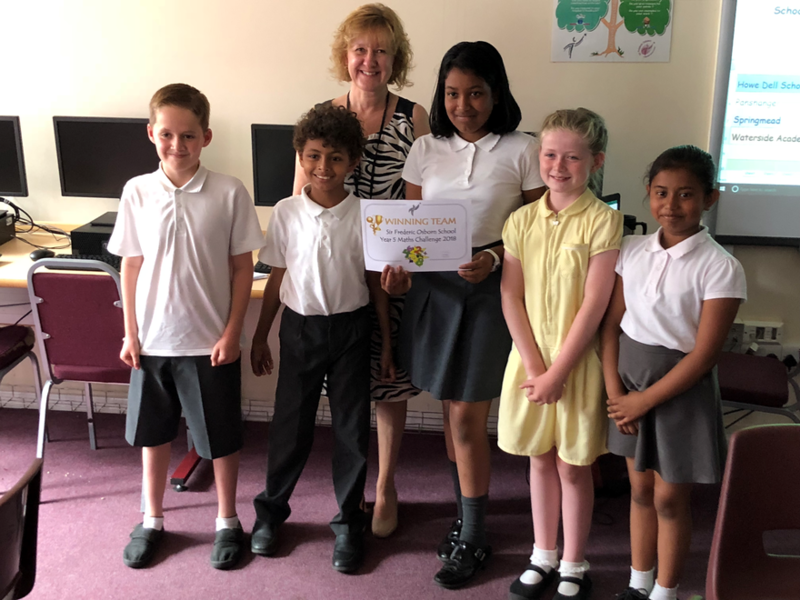 Well done to everyone, but in particular to Likitha, Calvin and Joshua for their achievements on Spellodrome and to Annika, Kane and Korey with Mathletics. Further information can be found in the School Report below. 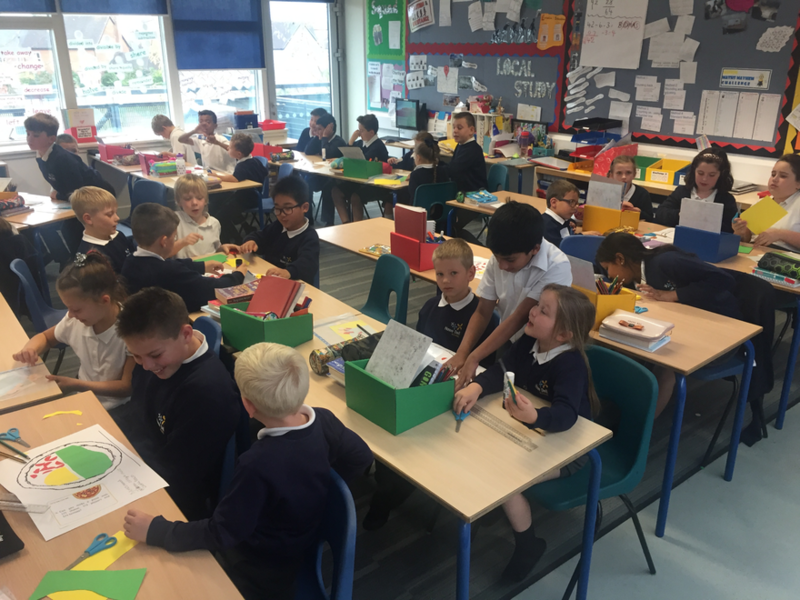 Each week we will be uploading a Maths problem to be shared at home - children can challenge each other, children can challenge parents or carers, mums can challenge dads and grans can challenge granddads! 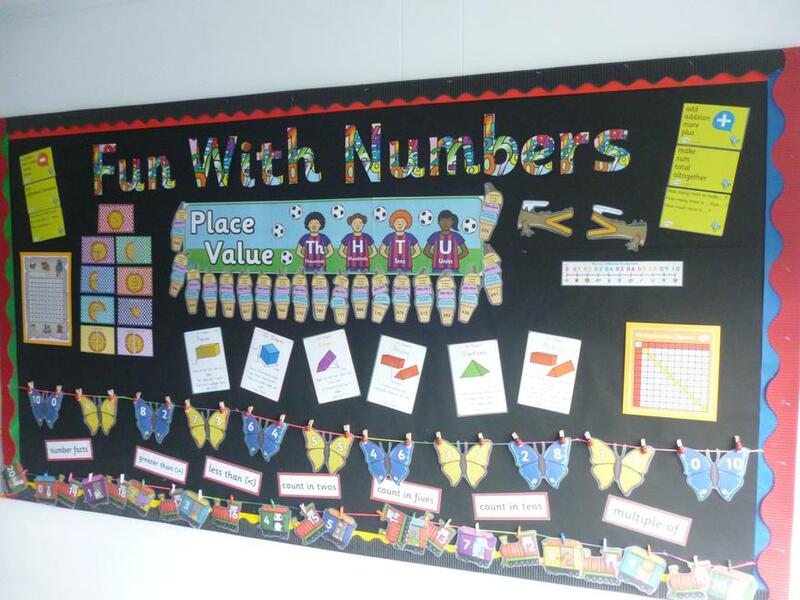 The whole idea is to have fun by exploring Maths. No prizes but hopefully lots of fun to be had. This week's problem is included below. 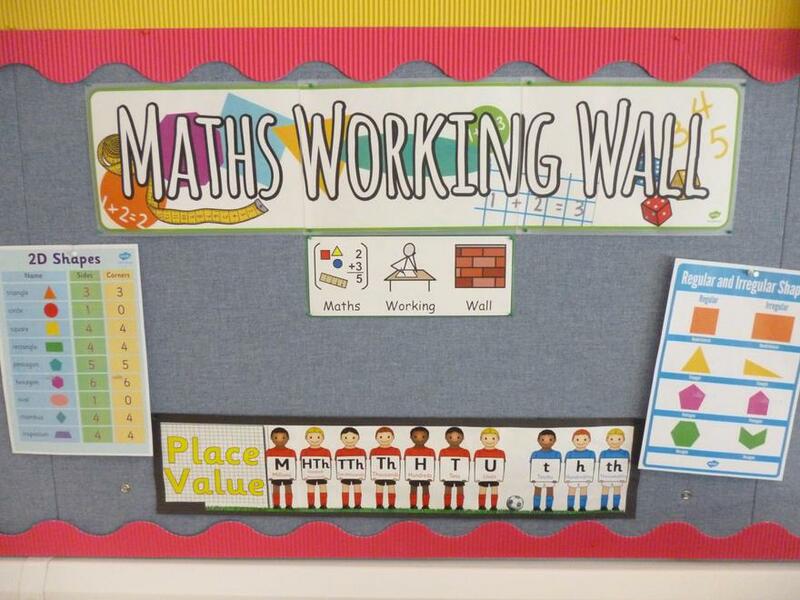 The New National Curriculum has a very strong focus on encouraging children to "THINK MATHEMATICALLY" and not just to be able to calculate. 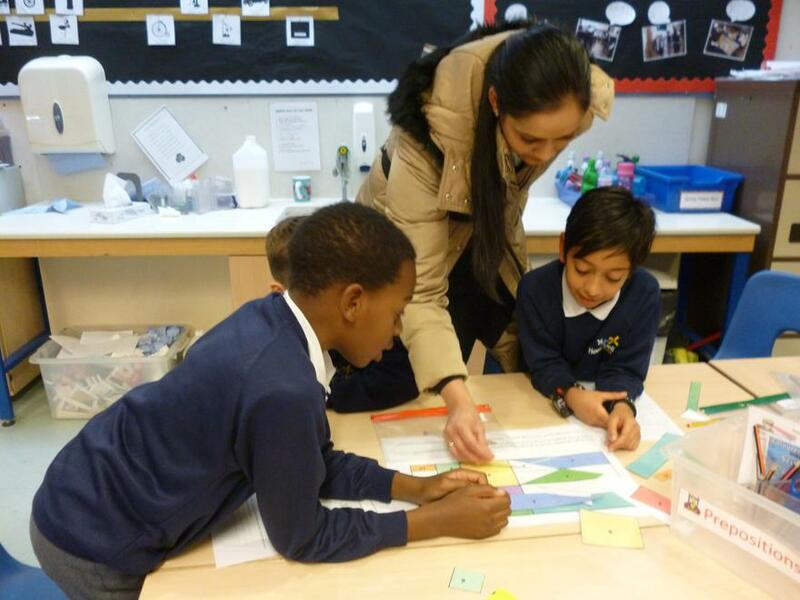 The intention is for the children to become FLUENT in their UNDERSTANDING and APPLICATION of their maths KNOWLEDGE. 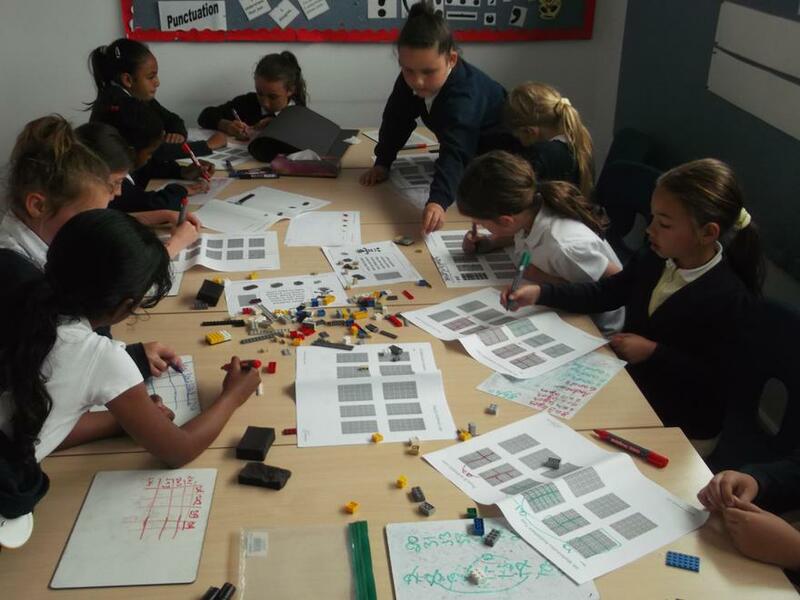 As much as possible children will be applying their Maths knowledge to different situations within their lessons. 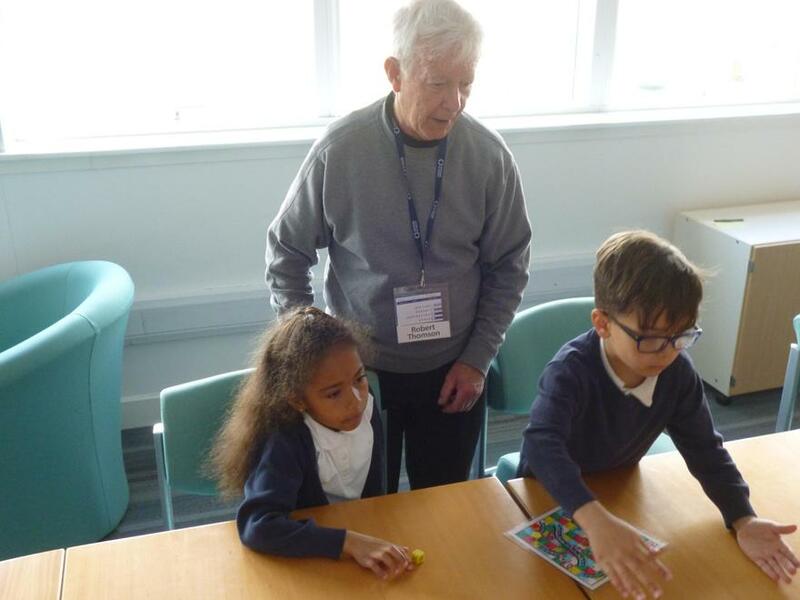 You can assist at home by helping children to work mathematically: how much change will we get if we pay with a £5 note, tea will be ready in 45 minutes - what time will that be, we need 100g of tomatoes for this dish - how much of the tin do we need. 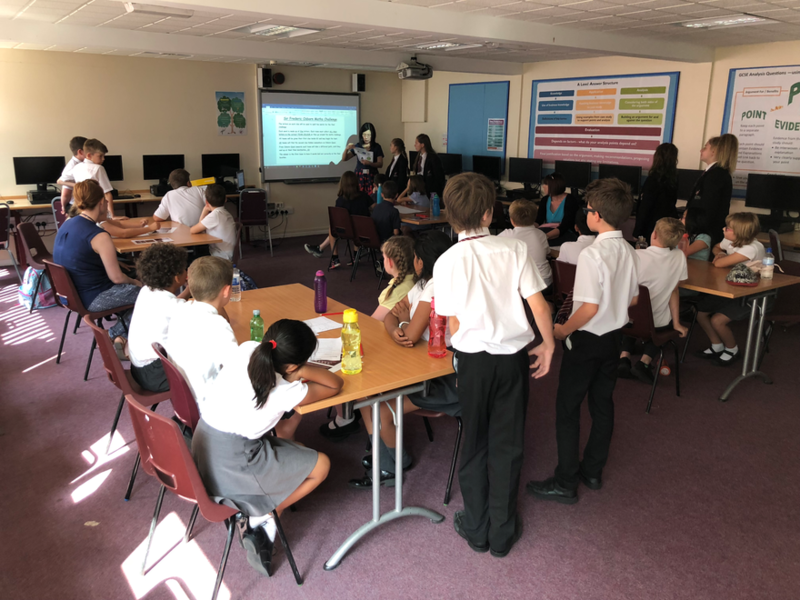 Launched this morning in Sharing Assembly and with more information with this week's newsletter, the World Education games gets underway next week. The event involves children all around the world and will last for three days from 13-15 October. Your child, because of their subscription to Mathletics, are already registered. However, don't leave it until next week to take part, get online now for the warm up activities. 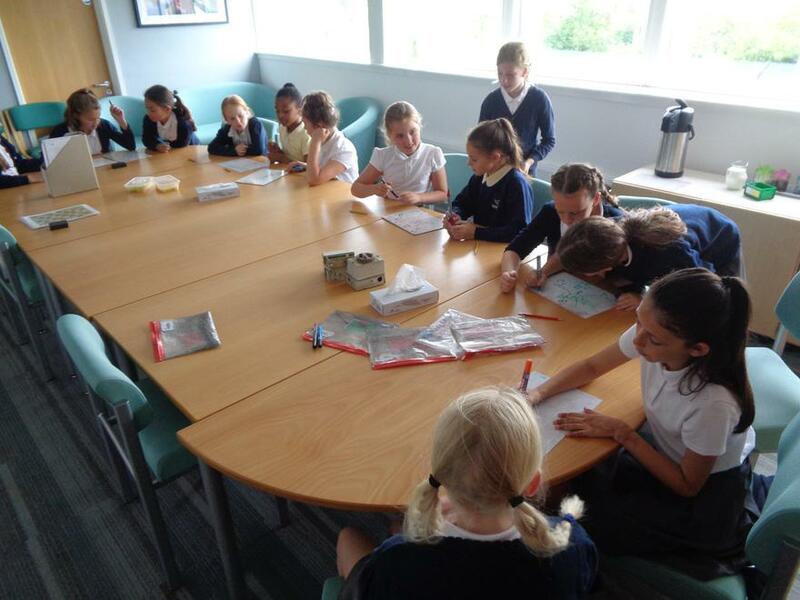 We hope that all children enjoy the experience whilst at the same time raising money for UNICEF. Click on the link below to find out more and participate. 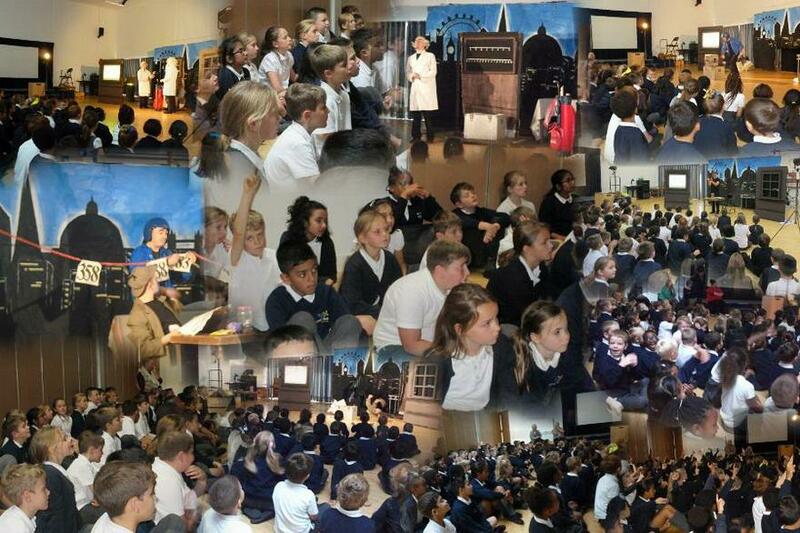 Monday saw Quantum Theatre come to Howe Dell to present a play based around the four number operations and fractions to groups of Year 1&2 children and Year 3&4 children. 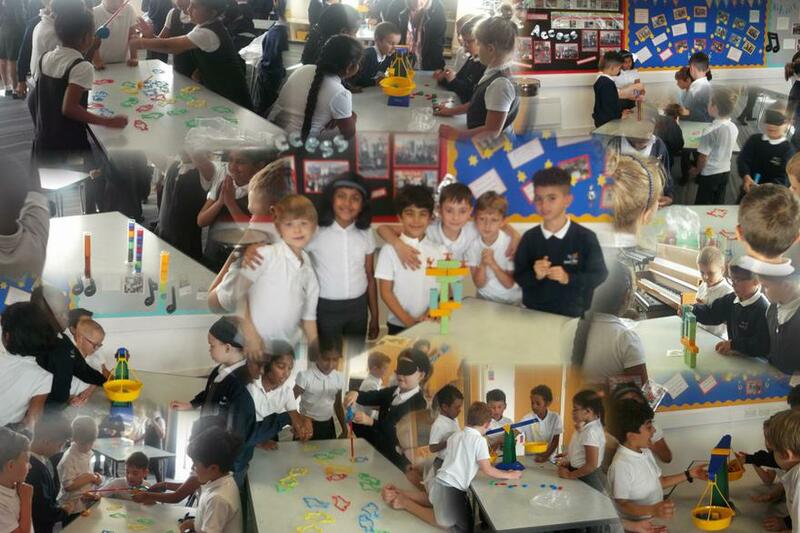 Feedback from both the children and staff was fantastic and overwhelmingly positive with staff saying that the children "were exposed to concepts they had not seen before, which was great" and praised the production for its fun element but also "great visuals". 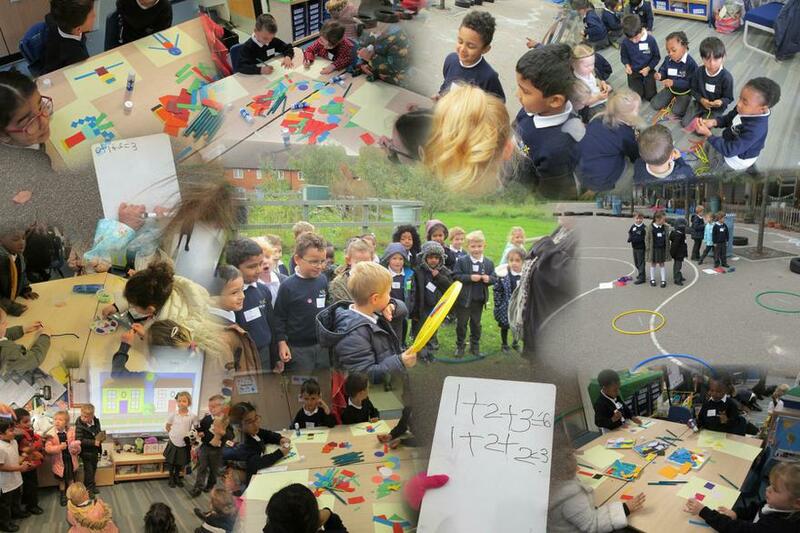 See what it looked like and what the children had to say about it on the PowerPoint below. Many thanks to all of you who supported the event with your contributions. 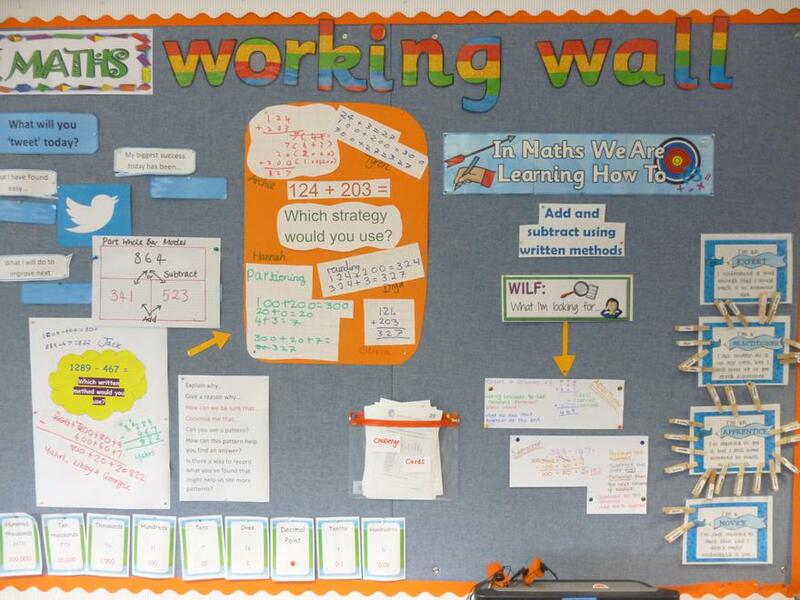 At Howe Dell we are very proud of the way our children embrace Maths and demonstrate a love of learning. 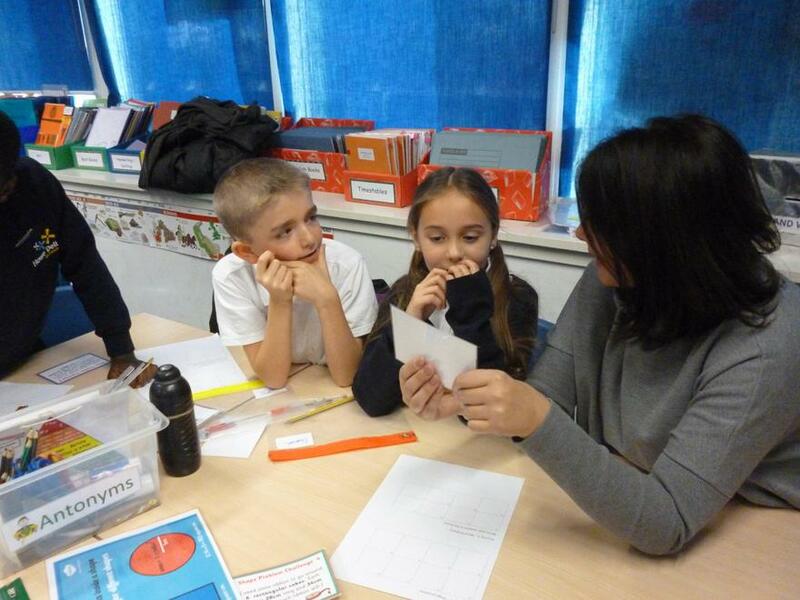 We are also proud of our Key Stage 2 SATs results in Maths. 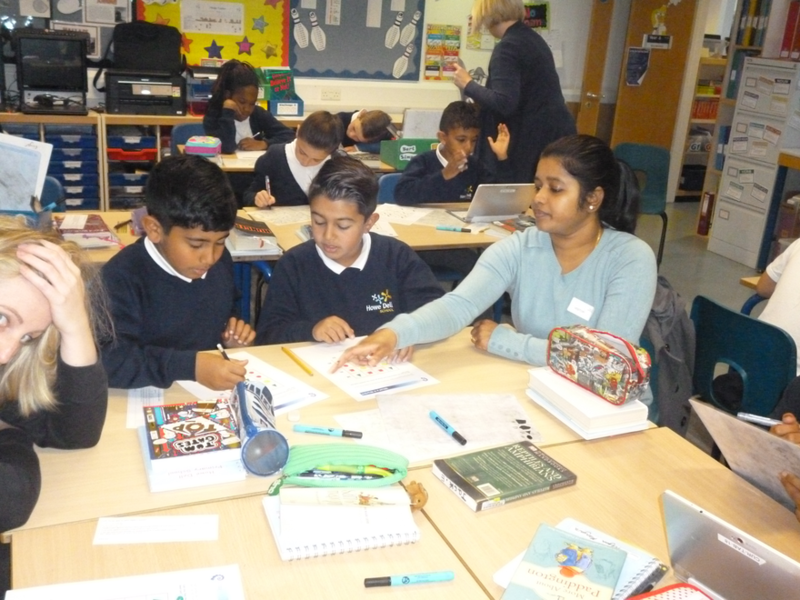 One of the ways in which our children are able to excel is through their use of Mathletics, our challenging, enjoyable and stimulating on-line Maths tool. 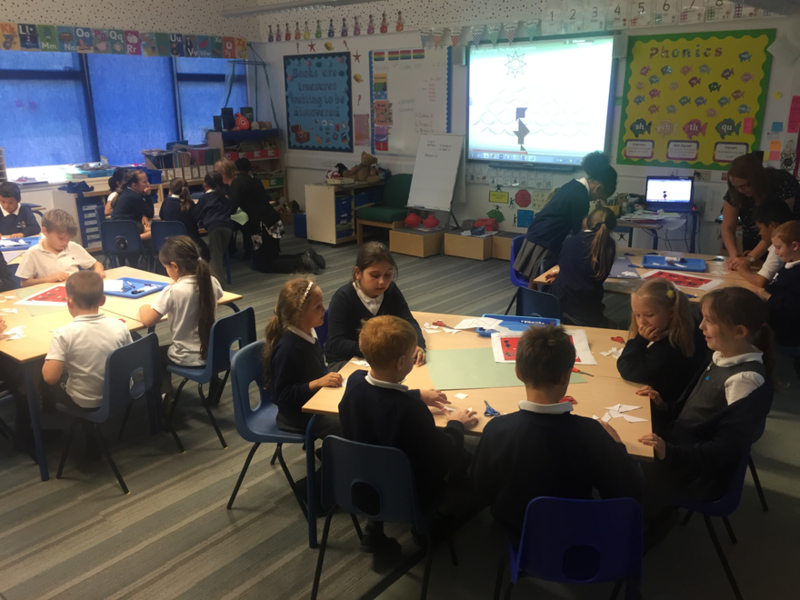 As well as being used by the children both at school and at home, Mathletics is also used by teachers for homework setting and as part of lessons. 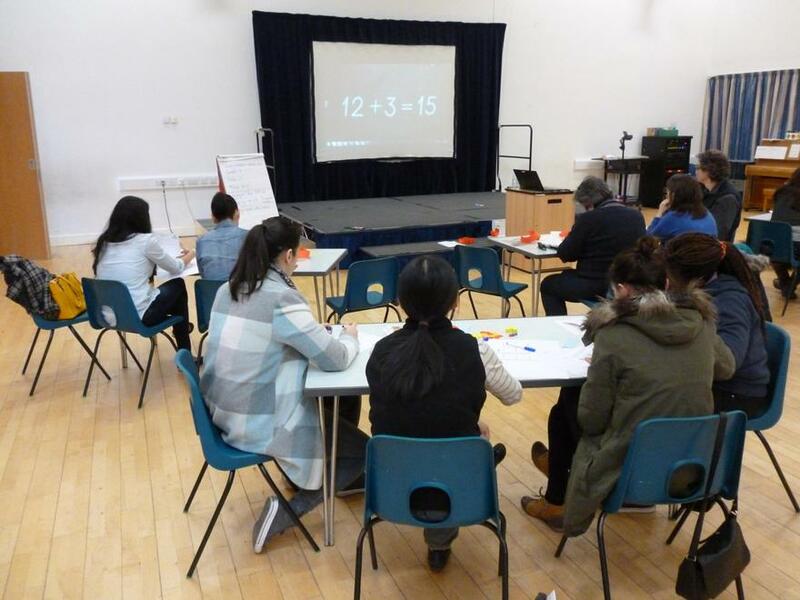 On Monday 2nd March we delivered two sessions for parents on Maths and The New Curriculum. 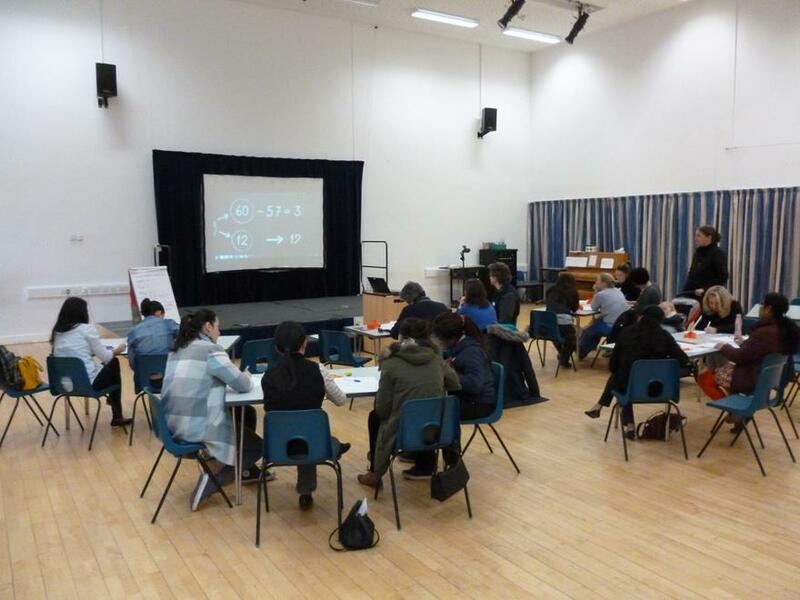 The sessions were well received and the feedback extremely positive with every attendee scoring it at least 4 out of 5. 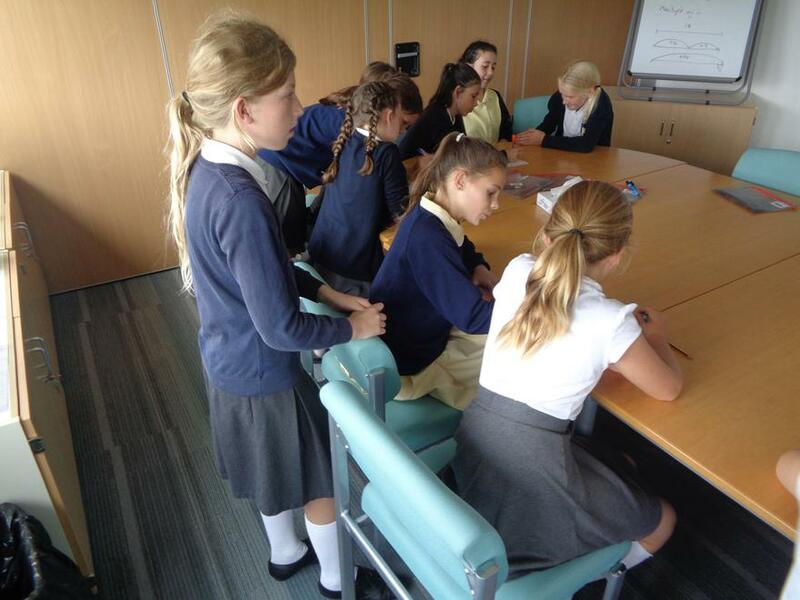 The PowerPoint that was used to deliver the session is provided here. 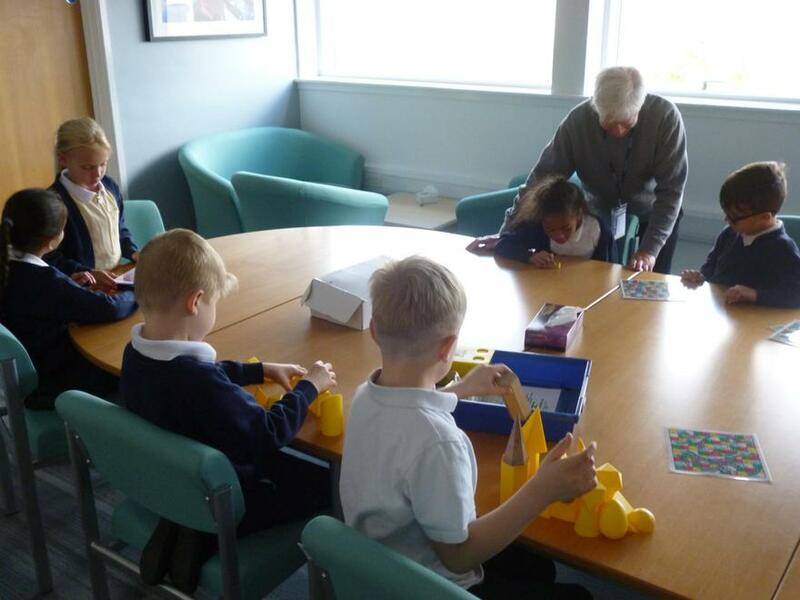 The focus of the week was WORKING MATHEMATICALLY. 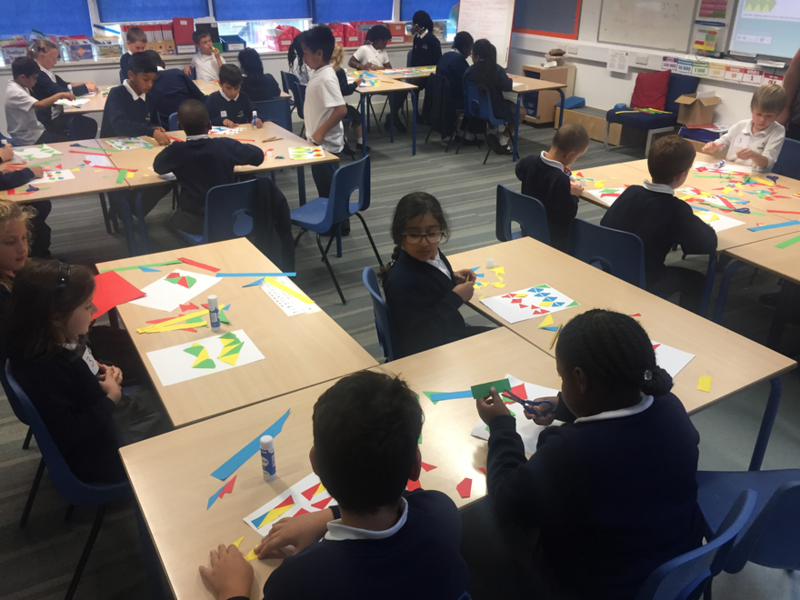 Our Maths week started on Monday and Tuesday with each class from Year 1 to Year 6 enjoying an extended PROBLEM SOLVING session in the hall provided by World Of Maths - some of the activities were extremely challenging but all of them were great fun! 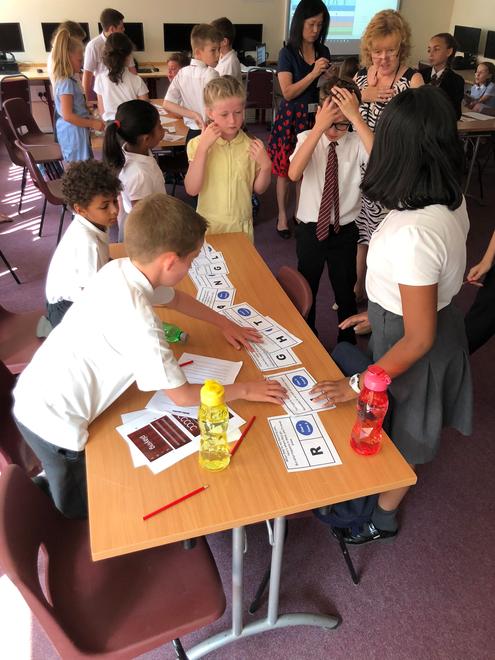 Wednesday saw Years 1 to 4 on Mathletics, trying to gain a place on the Mathletics Leader Board. 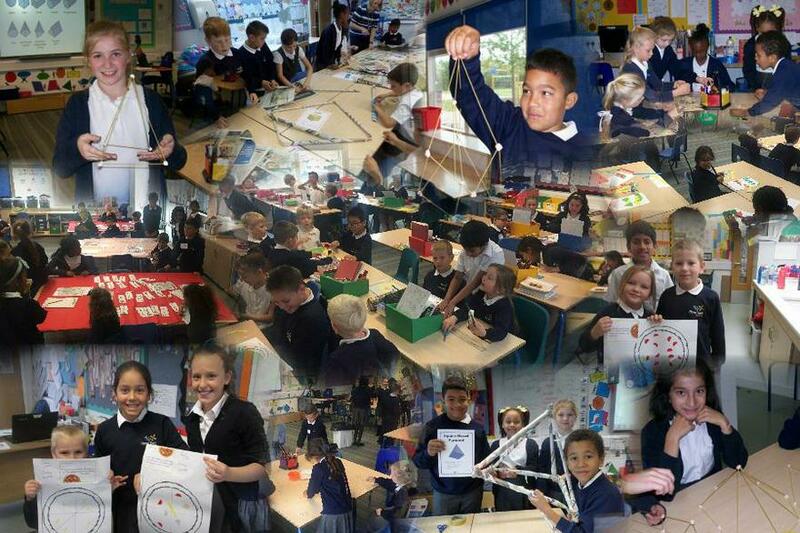 In the afternoon all of the school came together to enjoy and participate in carousel activities. 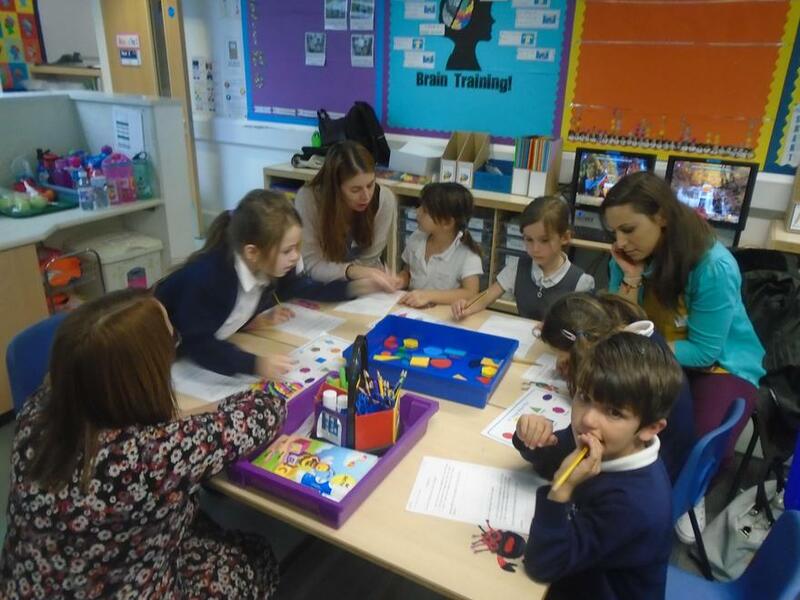 Magical Maths (who run an After School Club on a Monday) whizzed around every class from Reception upwards on Thursday, which proved to be an enormous success. 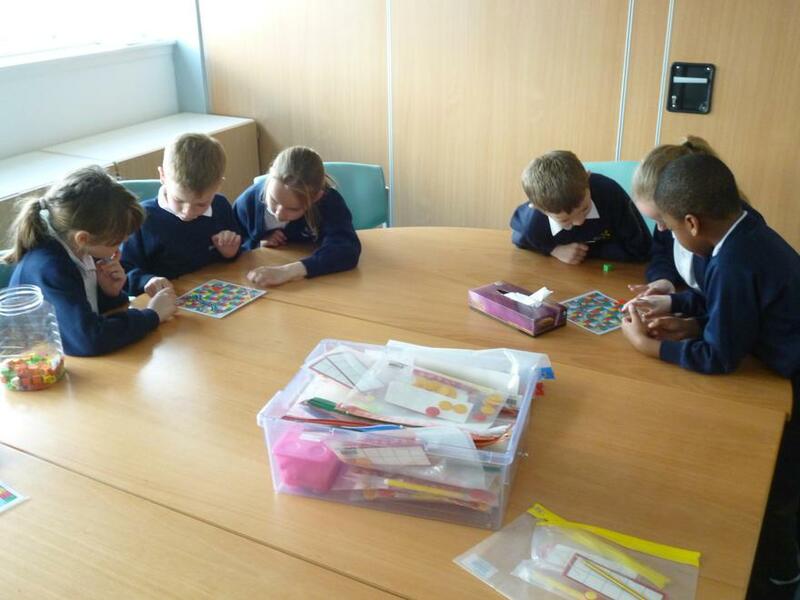 Finally, Friday was our Wear-A-Pattern-To-School Day, which resulted in lots of interesting combinations of stipes, spots, checks and colours. 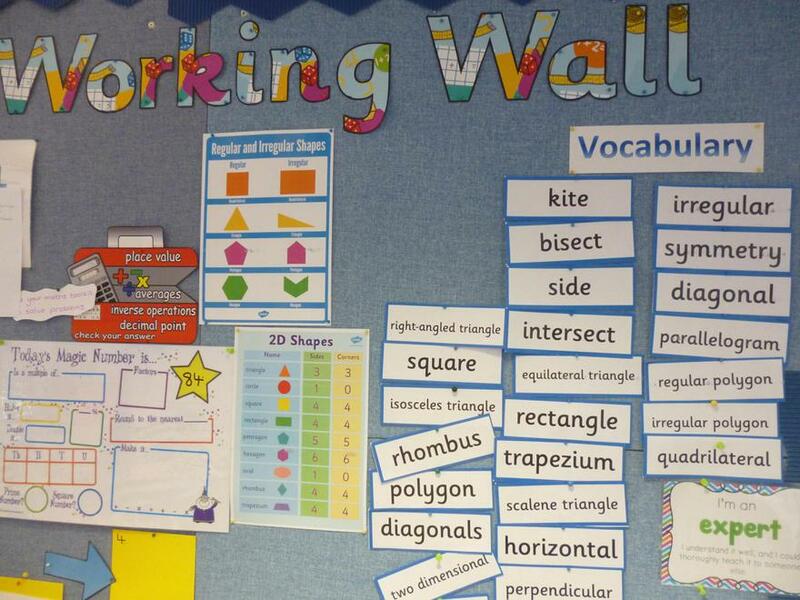 What a GREAT WEEK with loads of WONDERFUL, ENRICHED MATHEMATICAL VOCABULARY!